Come join the Downtown Huntington Beach lifestyle! Semi-Custom Built Mediterranean Beach home, lovingly maintained, upgraded, and recently refreshed with new paint, refinished cabinets, and new carpet! 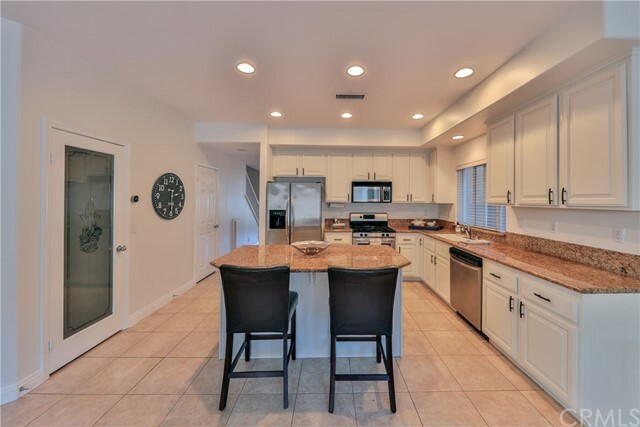 This beach home has a very unique design with very open kitchen-family room layout which also opens onto a large, private, & sunny backyard patio between the home and garage. Perfect for entertaining and backyard BBQs. Located just 4 blocks to the beach, 9 blocks from the Downtown HB Village & Pacific City, and just 3 blocks from Elementary & Middle Schools. 3 Bedrooms + 3rd floor room (could be a bedroom), 2.5 baths and private 3rd floor sundeck. Upgrades include: Granite Counters, Refinished Cabinets, Built-in office with dual desks on the 3rd floor, wired for computers, hub-phone system, alarm system, and cable TV. Double pane windows, 3 fireplaces, stainless appliances and more! One of the most phenomenal custom view lots to be offered for sale in the ultra exclusive, separately gated, Crystal Cove Estate Collection. The property is situated behind a second private gate, enabling an even higher level of exclusivity and privacy. The lot features stunning views of not only the Pacific Ocean, but a white water view of Crystal Cove, itself, in addition to sweeping, unobstructed hillside and canyon views. The wider than average lot configuration has allowed the architect Eric Trabert's creativity to roam freely, designing the included plans for a Northern Italian masterpiece with over 14,000 square feet of living area, plus an 8-10 car underground garage. The plans and engineering are fully approved and permit ready, saving the new owner much time and effort, in moving forward with construction. Here is the ideal waterfront property for the Savvy Yachtsman who appreciates wide open water views, wants a Newer Contemporary Home designed to effectively entertain both large & small groups of guests, and needs a lengthy (easy accessible) dock for a one or more boats. Huntington Harbour is the closest private boating port to Catalina Island, with Los Alamitos Bay & Shoreline Village being additional enjoyable over-the-water destinations nearby! This Rebuilt Luxury Home has 97 feet of water frontage on beautiful Christiana Bay! Plenty of room on the 85 foot dock for your yacht, Duffy, skiff, kayaks, sabot, & paddle boards… Enjoy gorgeous views from the amazing waterfront sunroom all year long… it is a "the place" to eat casual meals, lounge, or watch friends & family sail & paddle the calm waters of the bay. And, during the holidays, fortunate guests will have a front row seat of the boat parade! If you are looking for a truly "special" recently re-built contemporary home which allows you to start enjoying the Southern California waterfront lifestyle, this home is a "must see"! No details were overlooked in the construction... truly amazing: Sound system, surveillance system, smart home features, gourmet island kitchen, climate controlled wine room, office with bay view, side-by-side aquariums, luxury quality finishes, and so much more! We would love to show you the home so you can experience it for yourself! Come experience this Amazing Waterfront Home in Guard Gated Fair Marin/Harbor Coves! Enlarged & rebuilt in 2011, looks like brand new! Entering, you are greeted by a Grand Foyer with high ceilings & gorgeous staircase, then you are drawn into the spacious & open living room & formal dining areas. Two steps down and you are now into the comfortable family room which is open to a gourmet island kitchen with professional quality appliances & nook table. Also downstairs is a private office & bedroom with full bath. Upstairs is a library, 3 en-suite bedrooms, and a full width waterview master suite featuring "dream" walk-in closet, retreat area, terrace, & luxury master bath including separate tub/shower, dual sinks, & vanity. The 3 car garage has direct access into the home and the driveway will easily hold 4 cars. This home has the backyard orientation you are looking for: lots of sun in the afternoon and enjoyable sunsets in the evening. This is one of the most unique waterfront homes in Huntington Harbour! At lower tides, there is a beach at the base of the seawall, and the "L" shaped patio features an award winning infinity edge pool & spa! The 36 foot side tie boat dock will hold larger boat, room to park a Duffy boat on the end cap, and even a skiff on the inside of the dock! This is a house you want to see at night, the down lighting under patio deck, pool/spa lighting, & Fire pot fountains are truly something special to see! Stunning single story, waterfront home located on one of the most private streets in Huntington Harbour. Enjoy 50ft. of water frontage with a 45ft. boat dock. Flooded with natural light, this home allows you to soak up the salty breeze, sunshine and harbor views from nearly every room. It offers an open floor plan with sliding glass doors allowing for classic indoor/outdoor California living. Master en suite with large soaking bathtub. Enjoy the outdoor patio complete with outdoor kitchen island, gas fire pit, large infinity hot tub and plenty of space to entertain year round. Close to award winning schools, shopping, and dining, including world famous Captain Jack's restaurant just a short boat ride away. Live here and enjoy all that the waterfront lifestyle has to offer. Rare opportunity to own a Stunning and Impeccably Maintained home on Edwards Hill Estate that has it all and more. Located on one of the most coveted streets and at the end of a cul-de-sac. It started as the Largest Ascot Series Hampton plan features 5,565 SF with an over 13,000+ SF Lot. This home shows like a model and has been fully remodeled with incredible design work and high-end finish. Furthermore, the two- story addition covering approximately 1,570 sq. ft. consist of two large rooms with a full bathroom downstairs, wine cellar and kitchenette with fridge and dishwasher. Custom stone work driveway with matching stonework in the exterior of the house. Exterior fountain has an ornate bronze dolphins’ artwork with optical light and fountain show! Kitchen has been upgraded appliances, cabinets , wine fridge, two dishwashers and stonework. Every room in the house has been remodeled with solid core doors, crown moldings, newer hardwood floors, designer paint, shutters, millworks, etc. The backyard is an entertainer’s dream. All doors open to the west/north facing tropical paradise backyard, custom stone throughout the exterior, rock waterfall pool, Jacuzzi, large outdoor built-in bbq area, wrap around pergolas and additional river rock pond that could be converted for koi pond. Solar System (owned) providing almost cost free electricity. Too many upgrades to list! You'll never see another one exactly like this Custom 3 story beach home on a lot 4 feet wider than typical! 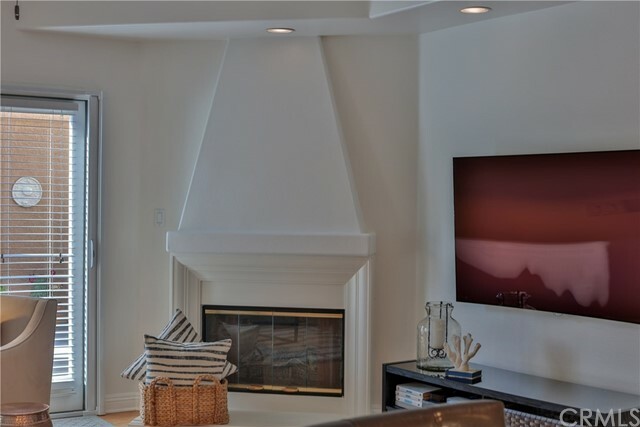 Crafted by the highest quality Downtown HB builder, located just four blocks from the Beach, Pacific City, and Main Street Village (which includes over 30 restaurants, shops, pier, and entertainment). Very close to the beach but on a nice quiet street that is only one block long! When you enter you're greeted by the foyer which includes grand staircase, dining area + butlers pantry, and access to den/downstairs bedroom+full bath. The Great Room features 10 feet high ceilings, an amazing gourmet island kitchen, and huge open living spaces which extend to the sunny back yard via bi-fold doors. On the second level there is a loft/reading/TV area, large walk-in laundry room, en-suite bedroom, & large luxury master suite with bi-fold doors onto balcony, amazing bathroom, & huge walk-in closet. 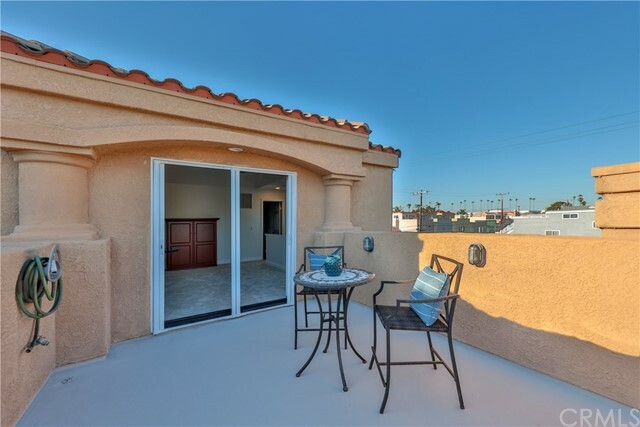 The third floor features a bedroom, full bath, and family room with bi-fold doors onto a 225 sqft sundeck with views of Saddleback mountains, Newport Center, City Lights, and the Sunset! The luxury upgrades are too plentiful to list, must see! New under construction Custom Coastal Contemporary home (completed model available to see)! Exquisite Open Concept 2,875 square foot floor plan has modern inspired architectural concepts, and is finished with wood siding, natural color cedar siding accents, and white smooth stucco. First floor great room has soaring two story ceilings and a massive gourmet island kitchen open to the living and dining areas. It features 3 bedrooms, 3.5 baths, spacious landscaped front patio, and the latest efficient new home technologies. Middle level family room with balcony, inside laundry, attached two car garage, and 3rd floor luxury master suite with sundeck. Ideal for an owner who wants to be “refreshed” everyday by a residence with clean lines and lots of natural light. Upgrades & finishes include: Central heating & air, tankless water heater, modern design fencing - concrete patio - firepit, designer metal gates, recessed lighting, Restoration Hardware chandeliers & pendants, European style/modern wood grain kitchen cabinetry with birch drawer boxes & soft close hardware/rollout trays, marble countertops, Anderson Premium windows, Western Series Sliders & Bi-fold patio doors, Eagle Series 3 Panel Folding Door System, JennAir: 48 inch range, 48 inch custom panel refrigerator, Thermador dishwasher, Under counter wine cooler, and Drawer style microwave. Just a short Short stroll to the beach, parks, schools, Main Street, Pier & Pacific City! Come join the Huntington Harbour Lifestyle in this Waterfront Single Family Home on Humboldt Island with over-the-water Sunset Views & Boat Dock! Take your boat out fishing in the morning, then come back and do some paddle-boarding in the afternoon. Take family & friends out for a harbour cruise or enjoy an evening of entertainment at the Yacht Club, Capt Jack's, or Peter's Landing. This home has a quiet interior tract location with two bedrooms 1.5 baths on the bottom floor, family room, remodeled kitchen, raised casual dining area, formal dining room, laundry room, and spacious living room with bar & fireplace looking out at the water & sunset. Upstairs is the master bedroom with luxury waterview bathroom, additional bedroom & full bath, plus a light & bright waterview loft area. The spacious waterfront wood deck is perfect for lounging, and the concrete patio has a firepit and BBQ... ideal for entertaining on summer weekends! Friends will appreciate the invitation to your boat parade parties. The dock is approximately 35 feet with very little wind/current, savvy skippers will love the dock as soon as they see it. Yes, this home has all you need, and if you are going to purchase a home on the water, this is the orientation you want, do not miss it! Opportunity awaits to live the Huntington Harbour lifestyle! Enjoy entertaining and access to the sea from your backyard. This property boasts a private 45' side-tie boat dock on a quiet water 'finger'. The 'fingers' in the harbour are water spread inlets off the main channels. Bring your paint swatches, designer ideas and create your own masterpiece for this home in need of TLC. 3 Bedrooms downstairs and 1 Master upstairs, kitchen remodeled with white designer cabinets and granite counter tops. Travertine flooring in kitchen, dining and family room. Enjoy views of Harbour from the private Master deck as well as great viewing for the annual Cruise of Lights Boat Parade! Brand New Custom Coastal Contemporary home on an elevated lot. Ideal for an owner who wants to be “refreshed” everyday by a residence with clean lines and lots of natural light. Exquisite Open Concept 2,875 square foot floor plan has modern inspired architectural concepts, and is finished with wood siding, natural color cedar siding accents, and white smooth stucco. First floor great room has soaring two story ceilings and a massive gourmet island kitchen open to the living and dining areas. It features 3 bedrooms, 3.5 baths, spacious landscaped front patio, and the latest efficient new home technologies. Middle level family room with balcony, inside laundry, attached two car garage, and 3rd floor luxury master suite with sundeck. Upgrades & finishes include: Central heating & air, tankless water heater, modern design fencing - concrete patio - firepit, designer metal gates, recessed lighting, Restoration Hardware chandeliers & pendants, European style/modern wood grain kitchen cabinetry with birch drawer boxes & soft close hardware/rollout trays, marble countertops, Anderson Premium windows, Western Series Sliders & Bi-fold patio doors, Eagle Series 3 Panel Folding Door System, JennAir: 48 inch range, 48 inch custom panel refrigerator, Thermador dishwasher, Under counter wine cooler, and Drawer style microwave. Just a short Short stroll to the beach, parks, schools, Main Street, Pier & Pacific City! Looking for a “Beach Home with Income” or a “Place by the Sea with Guest House”? This 3-story legal duplex on Sunset Island could be the place “steps from the sand” you have been looking for! What an amazing lifestyle: Go for a Surf, take a bike ride down to the pier, or stroll the soft uncrowded sands of Sunset Beach. In the evening, there is a variety of nightlife & restaurants close by including Captain Jacks and Peter's Landing! The building was completely remodeled “down to the bones” in 2011. The owner unit is on the 2nd floor and features: 3 bedrooms, 2 baths, large living room, custom fireplace, & balcony. The bottom floor unit has garage access, large master bedroom with luxury bath, walk-in closet, Office, + Hall full bath. Both units feature inside laundry, and were completely remodeled with owner user quality finishes including: Gourmet Kitchens with custom cabinets, new appliances, granite counters, wood floors, new windows, upgraded electrical & plumbing fixtures, luxury bathrooms, & so much more! Both units have access to a 400 square foot roof deck perfect for sunbathing & entertaining. The deck has 360 degree views of the mountains & ocean + custom outdoor kitchen with BBQ, refrigerator, sink, & storage. Parking arrangements: One carport spot, two car garage (one garage currently used as a professional music practice room/studio). Do not miss this one, you will not find anything else like it in the Sunset Beach area! Custom 2-Story Cape Cod Cottage style beach home built in 2009, this is one of the finest quality homes in Downtown Huntington Beach, and the location is excellent! It features a very open floor plan, with French Doors opening to an elevated front patio and middle patio with outdoor fireplace, Jacuzzi, and fountain. Large chefs kitchen with butcher block island, Wolf Range, Thermador Refrigerator, Bosch Dishwasher, Sharp Microwave and country cast iron kitchen sink. Marble, Carrera Counter Tops, built-in cabinets throughout with soft close, dovetail, maple interior finish. Master Bedroom Features Vaulted 8 solid wood ceiling beams, Built-ins, Walk-in Closet, and Luxury Bathroom with Claw tub. The Upstairs loft has dual computer work stations and TV Nook. Bedrooms 2 & 3 share a Jack & Jill Bathroom. Other features include: Renaissance Doors & Windows, Hardwood Floors through out, High efficiency insulation, Hardy concrete composite exterior siding & Windsor fascia, 2 Balconies, Copper flashing, coping, and threshold, too much to list! This home absolutely must be seen, magazine quality! Sold before processing. Double lot buildable for two homes. Sold for Land Value. Rare Trinidad Island off-water home with all the features you have been been looking for! Quiet interior tract location, 4 Bedrooms, 2.75 Baths, Pool/Spa (with sunny back yard orientation), kitchen open to the family room, 3 car garage, AND a highly prized deeded 35 foot boat slip on the Main Channel (that will hold 40+ foot boat). The boat slip is a front row seat for the boat parade, and a wonderful place to relax, sunbath, or watch the sunset from the back of your yacht! This home is nicely upgraded & lovingly maintained, it features: Remodeled island kitchen, familyroom with built-in entertainment center and french doors to covered patio, formal dining room with wine storage & wet bar, spacious livingroom with vaulted ceilings and fireplace, mid-level bedroom & 3/4 bath, large master bedroom with large private sun-deck, walk-in closet, & remodeled bathroom with Jacuzzi tub, inside laundry area, attic storage, two side yards (not zero lot line), and spacious driveway. And, of course, there is nothing like the Trinidad Island Lifestyle, it features a beach, two playgrounds, very large greenbelts, and waterfront walkway for evening strolls, simply one of the finest neighborhoods in Coastal Orange County. Located in the award winning Harbour View Elementary School District. Come for a look at this property, it is price to sell! Premier location off-water home on Trinidad Island featuring beautiful views of the water, beach, and park: the benefits of on-water with the privacy and security of off-water, the best of both worlds. Premier layout: 4 bedroom, 3.5 baths that includes a downstairs bedroom & full bath, kitchen- family room, and 3 car garage. One upstairs bedroom is easily divided making 5 bedrooms. Super bright and airy with dramatic vaulted ceilings on both floors, it really feels like a happy place. it is also perfectly situated to capture the sun in the backyard and the ocean breezes. It’s a great foundation for a dream home or enjoy as-is. Premier neighborhood: Trinidad Island, one of the most desirable neighborhoods in Orange County, boasts a sandy beach, waterfront walk-way, playground, large park, basketball courts, & spacious greenbelt. It inspires a sense of community & recreation. It is loved by people of all ages: play at the park, beach, or playground, stroll the waterfront walk-way, visit with dog owners at the park, take out a paddle board or kayak, do a sunset Duffy boat ride, or take off cruising to Catalina Island or fishing along the coast in your yacht/fishing boat. Come join the Downtown Huntington Beach Coastal Lifestyle! This home has one of the best overall locations in the area… it is just 4 blocks to the beach (with world class surfing), 8 blocks to the Main Street Village (which includes 30+ restaurants, quaint shops, 24-Hour Fitness, Starbucks, pier, amphitheater, and sand volleyball courts), 6 blocks to Elementary & Middle Schools, 3 blocks from Farquhar & Lake Parks, 10 blocks from the New Pacific City Development (with fantastic restaurants, shopping, Equinox Gym, and Pasea Hotel), and 15 blocks from Doggie Beach (where your furry friends can romp in the surf). Yes, this home in “right there in the middle” of it all! And, this is one of the very popular “John King” designed homes with an excellent floor plan: The bottom floor features a step down living room with fireplace, dining area, and kitchen which is open to the family room. There is direct access to a two car garage and private rear patio. On the middle level is a luxury master suite with fireplace, vaulted ceilings, and separate tub/shower, laundry area, and two more spacious bedrooms with in-suite bathrooms. On the third floor there is an enormous sunset view roof deck ideal for sunbathing and entertaining! The home has been freshly painted and carpeted, and has numerous upgrades through-out... Come check it out, I think you will agree this is the perfect casual beach home to enjoy with your friends & family! Here is the spacious Single Story home you have been looking for located on a quiet cul-de-sac in one of the best neighborhoods of Huntington Beach, Trinidad Island in Huntington Harbour. This beautifully remodeled 3 bedroom, 3 bath all one level home features: Remodeled Kitchen, New Tile Roof, Double Pane Windows, Roll-up Garage Door, Paverstone Driveway & Patio, Vaulted Ceilings, nearly 2,100 square feet of living area, 6,000 square foot lot, and a light & bright Open Floorplan (This is the preferred single story floorplan in the neighborhood, and rarely comes on the market)! There is nothing like the Trinidad Island Lifestyle, half the island has a waterfront walk-way with a lushly landscaped linear greenbelt connecting both sides of the walk-way. So much to activity to see & things to do: Join the fun at the park & playgrounds, sit on the beach, play basketball, stroll the walk-way, visit with other dog owners at the park, take out a paddle board/kayak, enjoy sunset Duffy boat rides, sail the bay, cruise the coastline, or run your boat over to Catalina Island. As a Trinidad Island homeowner, you can rent one (or more) boat dock(s) well below public marina rates for your boat(s) up to 40+ feet for as little as $200 to $350 per month. The walkway offers access to the docks 24 hours/day in case you like to leave early or come home late! If you have never been to Trinidad Island, it is worth a look. This home is Move-in Ready & Priced to Sell! This elegant contemporary 3 bedroom, 2 baths home features, high exposed wood beam ceilings, coupled with large windows giving it a wonderfully open and airy feeling. The home sits up off the main street providing exceptional possible vistas views if it had a second level. The home is unique as it has two separate 2 car garage. The rear garage can be connected to the master bedroom allowing for a massive suite. The main front garage is ideal for two large vehicles and room for bikes and a work area. The kitchen is light and bright with ample pantry storage. The backyard patio is well situated and spacious affording plenty of opportunity for gracious outdoor entertaining or expansion of the home for more living space. This convenient location provides quick access to Newport Beach's renowned back bay nature area and close to walking / hiking trails suited ideally for family fun or great for a run or bike ride. Not to mention freeway close and minutes to the beach, schools, restaurants and shopping. Major Price Reduction!!! Rare large lot on the water on Sunset Island! Relax, watch the sunset and let life unfold in this charming waterfront home. Completely remodeled kitchen and bathrooms, fireplace in living room, extra large bedrooms and a sitting area that could be converted into a third bedroom or office. Highly desirable 40' dock lets you park your boat steps away from your front door. Outdoor deck complete with hot tub surrounds the front and side. Make it your own by creating 365 outdoor living space. Detached two car garage and additional parking gives you plenty of room for guest parking. Steps away from PCH and the sand in Sunset Beach, close to nightlife, restaurants and more. Come make this your Sunset Beach home! Buyer to verify square footage of residence and lot prior to close of escrow. 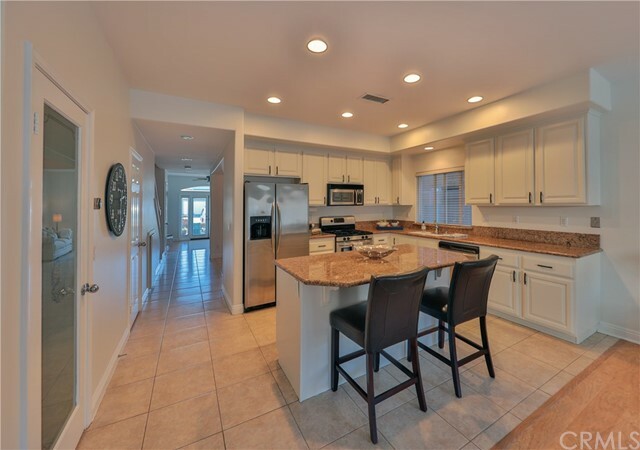 Come join the Huntington Harbour lifestyle in this stunning resort style waterfront townhouse in the gated Sea Bridge community which offers HOA tennis courts & beautiful pool/spa! With the bi-fold windows in the living room open to the patio, this home offers gorgeous views of the water, Front Row Seats for the BOAT PARADE, and a delightful ambiance. The waterfront patio has a gangway to the 30 foot boat slip directly behind the home… Enjoy convenient access to your boat and quick/easy launching of kayaks & paddle boards! 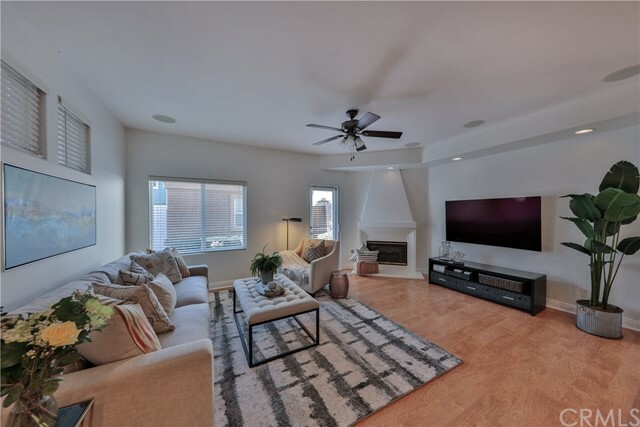 This Expanded & Remodeled 2 bedroom + Office, 2.5 bath townhouse is two stories and has an attached two car garage... it features: Slate flooring in living room which carries out to the waterfront patio creating an expanded inside/outside living area. There is maple flooring on the stairs & 2nd level, a custom wood staircase railing, Gourmet kitchen with custom cherry wood cabinets, polished concrete counter tops, Viking gas stove, Viking dishwasher, Advatium oven, Soft water/reverse osmosis, tank-less water heater, custom lighting & dimmers throughout, Millgard double pane windows, built-in cabinets in garage, & custom shades. The expanded master suite features a custom spa tub & shower, large balcony overlooking the water, and cozy fireplace! The powder room & hall bath were also remodeled, and the second bedroom has an enclosed balcony area which is a wonderful place for an office. It also has a new furnace & central air conditioning... You Must See it! PEDIATRIC MEDICAL BUILDING business included in listing price (owner users). 20 yrs business of 1200+ patients The doctor (6-12 months to help with transfer). All equipment included in price and "SOLD AS IS". Next door separate lot is a current parking spaces that belongs to owner and to be sold with this listing Property to be "SOLD AS IS" PARKING: extra adjacent lot of 5,670 sq feet lot belongs to owner and to be included in price. 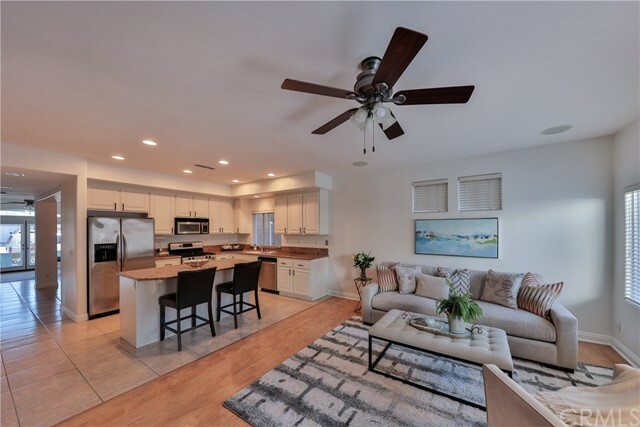 This remarkable "Lagoon View" Seagate Townhouse offesr the opportunity to live the waterfront & boating lifestyle which you have dreamed of for years with this 3 bedroom, 2.5 bath, 1856 square foot "Weatherly Model". The townhome also includes a 35 foot boat dock (will hold upto approximately a 40 foot yacht) which is just a short stroll away! The home has been beautifully remodeled with approximately $100,000 in upgrades. Rear and front patio tile, plantation shutters, water heater, windows, furnace, built-in desk in family room, crown moulding, surround sound, recessed ceiling lights, light fixtures & ceiling fans. The townhouse includes a two car enclosed garage in a secure location under the tennis courts. Many other improvements: Scraped ceilings, "opened up living room", attic improved with high capacity fan, access ladder & plywood floor and more...too much to list! Broadmoor is a unique guard gated waterfront community located in Huntington Harbour, several hundred yards from the soft sands of Sunset Beach! So many activities to choose from: go for a bike ride to the pier, surf or swim at the beach, paddle board or kayak in the Harbour, then come back and play some tennis or hang out at the resort style swimming pool/spa. In the evening there are multiple restaurants right around the corner on PCH! There is also access via gangways directly onto Peter’s Landing public marina, so if you have a yacht or Duffy, you’ll enjoy convenient access to your rented dock (subject to availability). This unit is on the second floor with a 180 degree view of the Harbour from the master bedroom, living room, kitchen, dining room, and spacious balcony. There is also a spacious detached two-car garage which is less than 100 yards from the beach at the end of Grimaud Lane (perfect place to launch kayaks & paddleboards). Come take a look, then start enjoying the coastal lifestyle offered by this unique property! This home is unique, single story in the front was built in 1923 as a Sears & Roebuck Catalog home.The home has been expanded & was remodeled extensively in 2002 by builder owner. Must see! Ocean View sundeck for entertaining on roof above the master. 2nd floor has outdoor porch with ceiling fan. Claw bathtub in upstairs bathroom with separate shower.Shows light & bright. French Doors lead to Gorgeous Patio area off first floor. Main floor bedroom opens to patio as well. Garage has been completely finished with California Closets cabinetry for office work space as well many storage cabinets on both sides of the garage. Insulated Garage door with windows to allow lot's of light, recently finshed marble coated floor also.Faux gas fireplace in living room. This home is situated 2 blocks to Ocean & a great buy for the area! Stunning Plan 3 in Newport Crest! Remodeled interior with 3 bedrooms, 2.5 baths, attached 2 car garage, and approximately 1647 square feet. Private end location with a fabulous location on a serene greenbelt. Ocean views from both rear balconies, light interior, added window off stairway for extra light, remodeled kitchen and bathrooms, recessed lighting, gas stove, new windows, plantation shutters, hardwood floors, California closets, air-conditioning, granite counter tops, ceiling fans, and much more! This is truly a unique home! When it comes to living at the beach, location is everything! 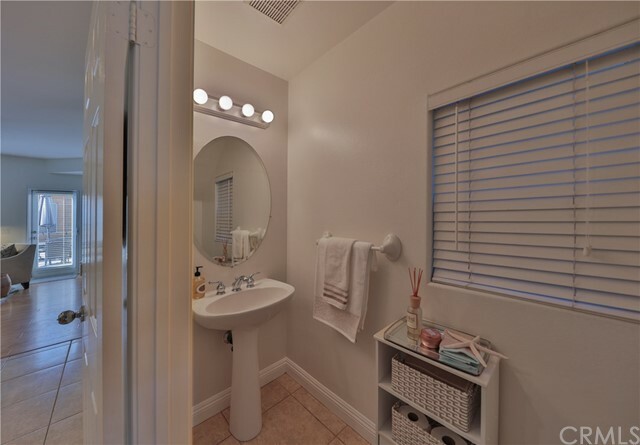 Situated in the secure gated community of Pacific Ranch, this property is a few blocks from Main Street and the Seacliff Village Shopping Center. 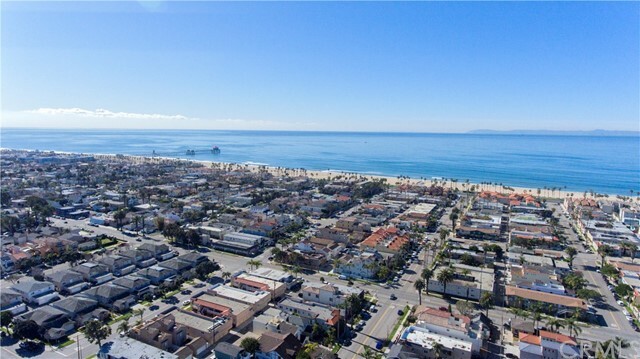 This ideal location makes for a quick bike ride to the sand and Downtown Huntington Beach and the upscale shops and restaurants at Pacific City. The end-unit condominium is the largest model available, boasting four bedrooms and three and a half baths. The property has been updated and offers many upgrades throughout, including an oversized main floor bedroom. The upgraded master retreat showcases a completely remodeled en-suite bath with an extra large shower. The bright white kitchen, open concept floor plan, two private patio seating areas, and wet bar make for the perfect space entertain guests. The home features access to the club house, ample green space, and is just steps from one of the three community pools within the complex. This home offers all the amenities of a single family residence with the low maintenance and security of a private community. The house offers a separate laundry area, French doors, wood and travertine tile floors, stacked glass tiles surrounding the fireplace, plantation shutters and a spacious three car garage. Another Huge Price Improvement with motivated sellers. Welcome to this Single Story Charming beach cottage located steps from downtown, Pacific City and beautiful Huntington Beach Pier. This Adorable cottage sits on a large 3,188 square foot lot situated on a quiet street, perfect for a home addition or a future new build. Property currently has welcoming curb appeal with a grass front yard, a white picket fence, stone walkway, and planter box for you to start your new garden. Stepping through this homes new warm inviting baby blue dutch door you will find wood floors, crown molding, a light bright family room with windows all around. Family room has vaulted ceilings, recess lighting, crown molding, and is open to the kitchen and breakfast nook. Kitchen has updated quartz counters, and cabinets, a stainless 4 burner gas range, new stainless dishwasher, microwave and a large breakfast bar. Bathroom has large granite vanity, updated lighting, stone shower/tub combo with glass door enclosure, and a skylight. Bedrooms each have access to the private sun drenched covered patio/deck and backyard. Backyard is perfect for entertaining and leads to a 2 car detached garage. Garage has laundry, workshop, loft and bathroom. This property also allows for 2 extra parking spots just behind garage door. This cottage has been very well maintained, is turn key ready and is perfect for anyone who enjoys the Southern California Beach life. TROPICAL, TRANQUIL AND COMPLETELY REMODELED HUNTINGTON BEACH HOME. FROM THE MOMENT YOU PULL UP TO THE BEAUTIFULLY LANDSCAPED FRONT YARD YOU CAN FEEL YOURSELF RELAX INTO THE CALIFORNIA COASTAL LIFESTYLE. THE LIVING ROOM HAS HIGH VOLUME CEILINGS AND A BEAUTIFUL TRAVERTINE STACK STONE FIREPLACE. SPACIOUS KITCHEN WITH EATING AREA FEATURES FLUTED SURFACE CABINETRY. WITH SOFT CLOSE DOORS AND DRAWERS, GRANITE COUNTERS AND STAINLESS STEEL APPLIANCES. TWO BEDROOMS DOWNSTAIRS ONE OF WHICH IS CURRENTLY BEING USED AS A FAMILY ROOM. BOTH BATHROOMS ARE BRAND NEW AND FULLY REMODELED WITH TODAY'S FAVORITE FINISHES. NEUCORE LUXURY BEACH WOOD TONED PLANK FLOORING. DUAL PANE VINYL WINDOWS AND SLIDING DOORS. RAISED SIX PANEL DOORS AND HIGH BASEBOARDS THROUGHOUT. FRESHLY PAINTED INSIDE AND OUT WITH DESIGNER TONES. THE BACKYARD IS A RESORT LIKE OASIS WITH RAISED VEGETABLE BEDS, SALTILLO TILE PATIO AND RAISED TREX DECK FOR RELAXING AND ENJOYING THE PEACEFUL SURROUNDINGS. PEACH, TANGERINE, APPLE AND AVOCADO TREES FLOURISH IN THE BACKYARD. THIS PROPERTY IS LOCATED ON A QUIET INTERIOR TRACK CUL DE SAC. YOU WILL BE ABSOLUTELY AMAZED AT THE ATTENTION TO DETAIL AND CARE THAT HAS BEEN PUT INTO THIS HOME. 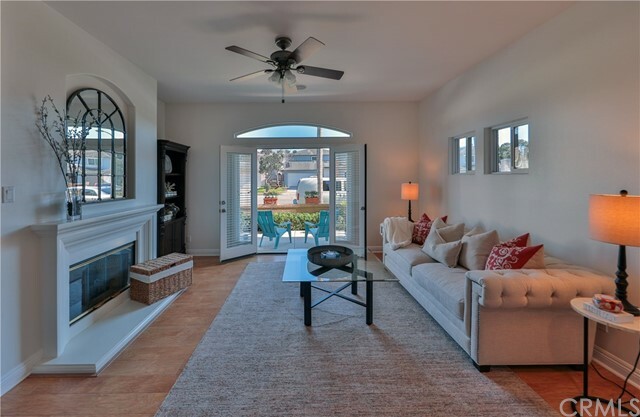 Absolutely gorgeous, completely remodeled popular Plan 4 in Newport Crest. This highly desirable floor plan features two interior levels, with one bedroom/bath on the first level and three bedrooms/two baths on the second level. Ideally located close to the community pool, spa, clubhouse and tennis courts. Features include a very private location with a large two car attached garage, light interior, remodeled kitchen with quartz counters, new white cabinets, subway tile back splash, new stove and microwave, stainless appliances, plus a pantry and sunny breakfast nook. The spacious living room offers high ceilings and sliders that open to the patio for an ideal indoor/outdoor lifestyle. New LVP floors in the living room, dining room and kitchen, new carpets in all bedrooms and new paint and baseboards throughout. All baths have been beautifully remodeled. This fabulous home features recessed lighting and a Nest thermostat. The over sized master suite has a loft, walk-in closet and double vanities. A walk out balcony off the master bedroom allows you to relax with your coffee and enjoy the sunshine. Newport Crest is ideally located close to the beach and adjacent to Sunset Ridge Park. Don't miss this great opportunity to own a beautiful home in Newport Crest! Wonderful pool home on a cul-de-sac. Backing up to a beautiful park, great for family sports. 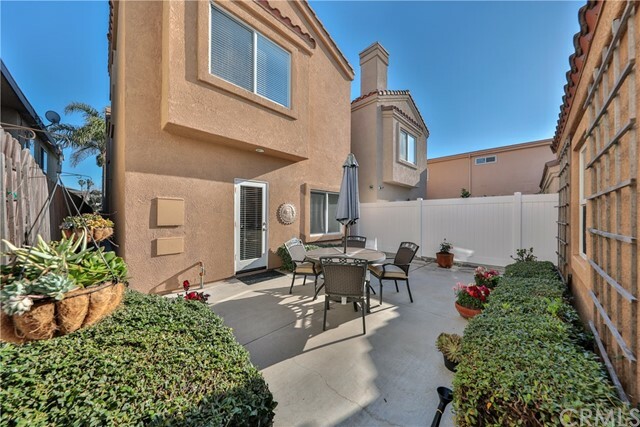 In Los Alamito's school district in a quiet neighborhood located in the Suburbia Estates. Double door entry with a private gated courtyard, opens into a Living room with cathedral ceilings and a warm cozy fireplace. The open concept kitchen flows seamlessly into the family room. The backyard is great for family barbecues and pool party's. This floor plan offers two masters, great for in-laws. Close to restaurants and the beach. Would you like to make this your dream home. A nice location 2005 built 4 beds 3 full baths situated near Little Saigon. Originally was a model home for the neighboring home projects. A double door entry into an open floor plan, vaulted ceilings living room and a cozy family room. The model has a master bedroom, 2 large size bedrooms upstairs and a den/4th bed downstairs. A gourmet kitchen with granite counter top, a breakfast nook, separate dining room, 2 fireplaces and separate laundry room. An RV access to a large back yard, the lot size is approximately 8,494 sq. Highly sought after single story "Columbia" model situated perfectly on a quiet street within College Park East. This popular floorpan features sky high vaulted ceilings, formal living room with fireplace, family room, open concept kitchen & dining area, along with breakfast nook. Master en-suite with large walk-in closet and sliding glass doors leading out to the landscaped backyard. Enjoy recessed lighting throughout, tile flooring, upgraded windows and doors by Andersen, new rain gutters and refreshed exterior paint adding to it's beautiful curb appeal. 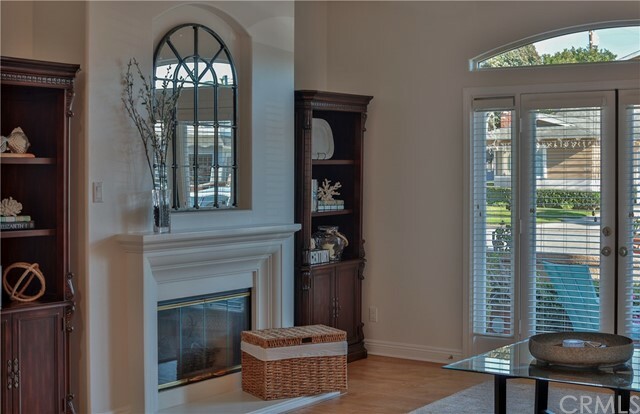 This community boasts easy access to freeways, shopping, dining, parks, playgrounds, Old Ranch Country Club, and award winning schools within the Los Alamitos School District. Welcome to Your Dream Home in the Desirable Bolsa Park Tract! 4 Bedroom, 2 Bathroom 1651 sq. ft. Single Story home has all the modern amenities a buyer could hope for! The combination of the master and 5th bedroom next to it must be walked in person to appreciate. This Sleek Remodel features numerous High Quality Custom finishes including: Professionally painted exterior & interior, Carrera marble, master suite, separate water closet, separate his and hers walk-in closets, Hansgrohe bath fixtures, Decora kitchen cabinets with pull out shelves, undermount lights, granite counters, glass backsplash, high-end laminate flooring, remote ceiling fans, Milgard windows, oversized garage, gas fireplace, and more! The home is on a cul-de-sac with a south facing backyard for enjoying constant sunshine in the backyard. Award winning Schroeder Elementary is in the tract! Costco, Bella Terra, freeways, and anything you need is a few minutes drive away! Awesome location in lovely gated Seacliff Palms! Private end unit with a rare 2 car driveway and attached garage. Entry from side door on right patio into open living room with slider to patio. 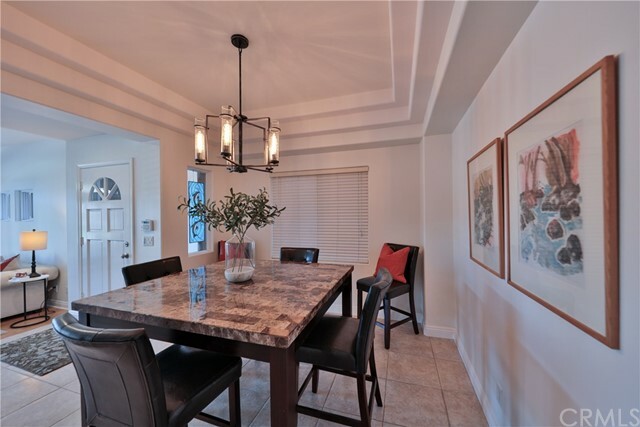 Adjacent is the dining room/area leading to amazing remodeled huge kitchen with recessed lighting, high end appliances, granite counters, wine refrigerator, wine rack, and tons of beautiful cabinetry for plenty of storage! Direct garage access from far end of kitchen. Winding staircase leads up to large open loft/family room with high ceilings, skylight and gas fireplace. Large master suite has custom built closet, Plantation shutters on windows and slider to private balcony. En suite has huge walk in shower featuring rainfall shower head and bench. Second master bedroom on opposite side of family room has a beautiful Murphy bed, great for both guests and/or office. Plenty of guest parking adjacent, along with just steps to the sparkling pool. Furnishings available for purchase. Very Motivated Seller! 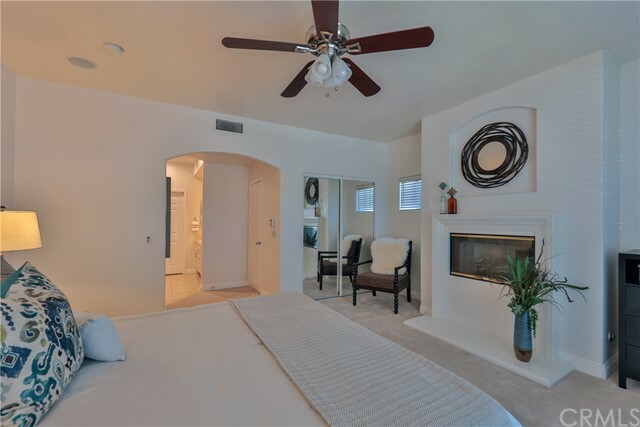 Highly desirable Capri Model townhome within Guard Gated “Resort Like” Pacific Ranch. This central air-conditioned townhome enjoys a premium location in a beautiful Mediterranean style development with lushly landscaped grounds, 3 swimming pools, clubhouse, & spa. It features: 2 large master suites on the top level, spacious living room, dining area, & a beautifully a remodeled kitchen on the middle level, and on the bottom level there is a bonus room which could be an office, workout room, guest room, or bedroom (if a closet is added)… plus laundry room and spacious attached two car garage. Upgrades include: Central Air Conditioning, Crown molding & baseboards, Window Shutters, plus it has Updated: electrical outlets, doors, hardware, and light fixtures. And, there is more, it also has a Custom fireplace mantel and surround, skylights, tile patio, and a bright sunny deck for outdoor dining! Come for a look... this is a great opportunity to join the “Coastal Lifestyle”... It is located just a few blocks from Pacific City, the beach, Seacliff Shopping Center, The Main Street Village & Pier, downtown shops, and restaurants! If you are looking for a "beach close" townhouse with plenty of space, attached garage, gated community, and good "walk score"... this is it! Beach-Close Living in this Beautifully Remodeled & Upgraded 3 Bedroom, 2 Bath La Cuesta Villa Home Situated on a Corner Lot, Less than 2 Miles to Downtown HB, Pier, Pacific City and the Beach. Looks like a Model Home with Lots of New New New! It Features Brand New Wood Laminate Flooring, Crown Molding, Custom Tall Baseboards, Dual Pane Windows/Sliders, Custom 2-Inch Blinds, New Paint Inside and Out, Smooth Vaulted Ceilings, Recessed Lighting, Raised Panel Doors, & More! 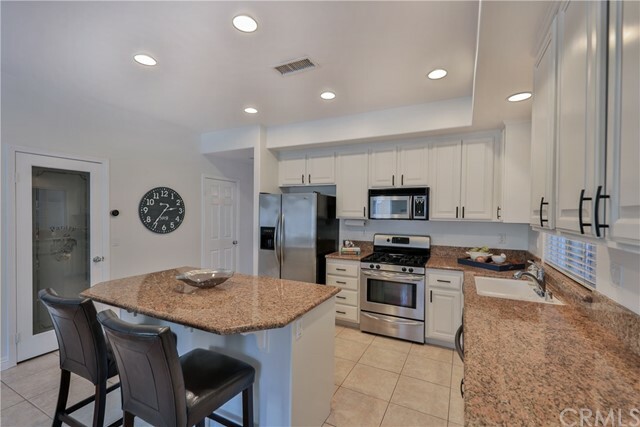 The Remodeled Kitchen Boasts Granite Countertops, Freshly Painted Bright White Cabinetry, Gas Stove, Built-In Microwave, Dishwasher, & Deep Chef's Stainless Sink. The Kitchen is Open to a Huge Dining Room / Family Room Combination with a Great-Room feel and Patio Access through Sliding Glass Door - Great for Entertaining. The Lovely Spacious Living Room has a Slider to Front Patio Area and a Breakfast Bar Pass-Through to Kitchen. The Master Suite has a Soaring Ceiling, Wrap-Around Mirrored Closets and a Remodeled Bathroom with Granite Countertops, New Fixtures and Walk-In Shower. There are 2 Spacious Secondary Bedrooms - 1 with Double Door Entry off Family Room for the Versatility of also Making it an Office or Den. The Hall Bathroom has a Skylight and a Tub/Shower Combo. Oversized 2 Car Garage with Direct Access through Back Covered Patio. A Wrap-Around Walkway Connects the 2 Patio Areas. 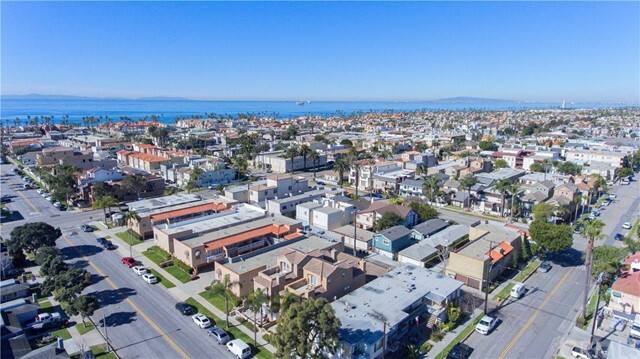 Enjoy Year-Round Ocean Breezes, Walking Distance to Shopping and Restaurants, and Nearby Great Huntington Beach Schools. Situated on a quiet cul-de-sac, this is one of only 13 detached homes in the desirable “Fernhill” community where the HOA maintains beautiful greenbelts, pool/spa, & tennis courts. And, it is one of the sought after single level 3 bedroom, 2 bath units with an attached two car garage… it looks and lives more like a single story home... you just do not have as much exterior maintenance to be concerned about! The home is surrounded by a wide green belt, and the association tennis court, pool/spa, and clubhouse are all very close by! Residents of this neighborhood enjoy a short stroll to recreation (Meadowlark Public Golf Course is across the Street), restaurants & shopping (are just a block away), and easy access to public transportation! The beach is only 2 miles away... a nice bikeride down Warner Avenue. Best of all, this home is move-in ready and has been upgraded including a remodeled kitchen with stone counters, wood (style) flooring throughout, interior paint, double pane windows, and more! 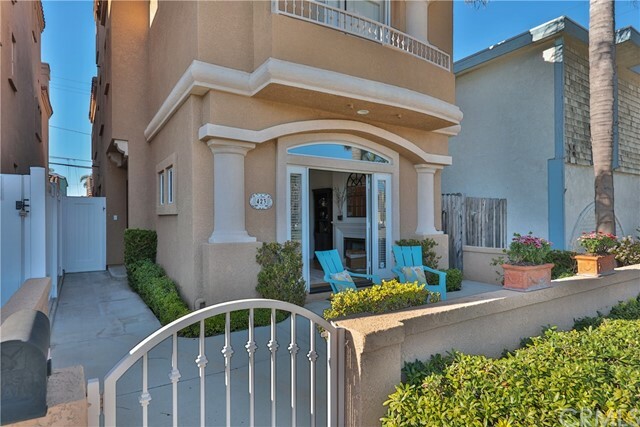 Welcome home to this well located La Cuesta Racquet Club 3 bedroom 2 bath townhome (not a condo) in Downtown Huntington Beach. This home is an easy stroll or bike ride to HB's downtown restaurants and shops, the new Pacific City development, the famous HB Pier and the Pacific Ocean beaches. This house is a desirable end unit, so there's only one attached wall, and no traffic noises. The home also has a DOWNSTAIRS master bedroom and bath, with two large upstairs bedrooms and a separate loft that is a potential 4th bedroom. The windows and sliders were upgraded to double pane 5 years ago. The kitchen was remodeled about 5 years ago, with recessed lighting, granite counter tops and new cabinets. The kitchen also has direct access to the two car garage. The over sized, freshly landscaped backyard is big enough to entertain friends and family and includes a bbq island with a brand new bbq. The back gate opens up to a huge green belt for even more space. The relaxing patio is south facing, so you can enjoy the sun and beach breezes all year around. La Cuesta has very low HOA dues at only $239 per month. Beach close with 3 bed, 2 bath, 2 car garage, low HOA dues, a backyard and a downstairs master. Compare and save! We have a renovation jumbo loan available so you can finance any improvements. Call for details. Welcome to the highly desirable Eastgate park community. This four bedroom home features many interior upgrades including, double pane windows, Central heating and air-conditioning, crown molding, scraped ceilings, recessed lighting and water heater. The attached two car garage insulated With a drywall finish. The exterior the home has recent upgrades including, patio cover, pool liner, spa heater, block rear wall, artificial turf in the backyard, 100amp electrical panel and high grade modern color mix stucco. This Home is a Must See!!! Live a Resort Lifestyle! Townsquare Condominiums is a boutique Resort Style development built in 1990 and it is just three blocks from the Huntington Beach Pier, beach, Main Street and the Pacific City Development at PCH & 1st Street. The complex is gated and has secured parking, so you can enjoy being in the Downtown HB Village area but at the same time there will always be parking when you get home! This is one of the rarely available Plan B (1,038 SqFt) 3rd floor (top) units with west facing orientation. The unit looks out over the swimming pool and palm trees for that tropical feel, and the balcony is a perfect place to watch the sunset every evening. This unit has a very bright and open 2 Bedroom, 1.5 Bath floor plan breakfast counter, fireplace, and balcony off the living room. The kitchen is spacious with ample counter space and a stacked washer/dryer closet. 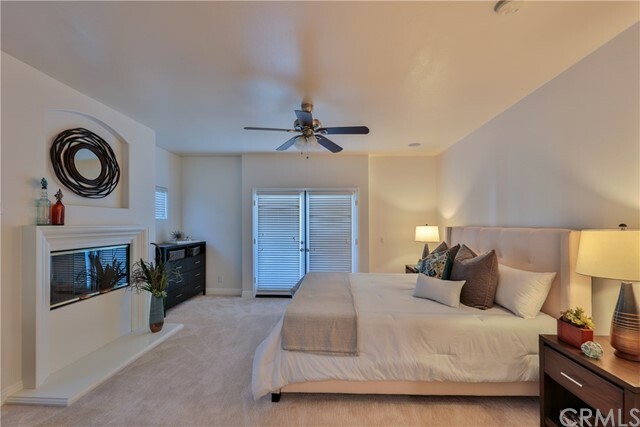 The master bedroom is light & bright with a slider leading out to the balcony, walk-in closet, and spacious master bathroom. Charming single level detached home in Huntington Viewpoint North. This 2 bedroom plus den and 2 bath home offers an enclosed yard with front patio; spacious living room with skylight provides lots of natural light; dining, living & master all have direct access to yard; kitchen includes newer cabinetry with glass insets, stainless cooktop & dishwasher, plus KitchenAid double ovens (one convection). Master bedroom offers vaulted ceiling plus his & her closets (including one walk-in); both bathrooms have been updated including a step-in master bath shower. Den, which opens to dining area, might be possible to convert to 3rd bedroom. Upgrades include wood and tile floors thru-out home; plantation shutters in living & dining rooms; ceiling fans in bedroom, three sets of sliding doors, wrap-around yard, central A/C plus attic fan, scraped ceilings and two-car garage with direct access & washer/dryer hook-ups. HOA includes pool & spa. Highly Upgraded Single-Level Detached Home in the Prestigious Gated Community of San Simeon situated at the End of a Quiet Cul-De-Sac. Open Floor Plan with Lots of Natural Light and View of Trees & City Lights. Remodeled Kitchen features Brand New Cabinets (w/ Soft-Close Hinges, Spice Drawer, and Lazy Susans), Quartz Countertop, Glass Mosaic Tile Backsplash, New Sink, Faucet & Garbage Disposal, and Stainless Steel Appliances. Great Room offers Vaulted Ceiling, Cozy Fireplace, and Sliding Glass Door leading to the Patio. 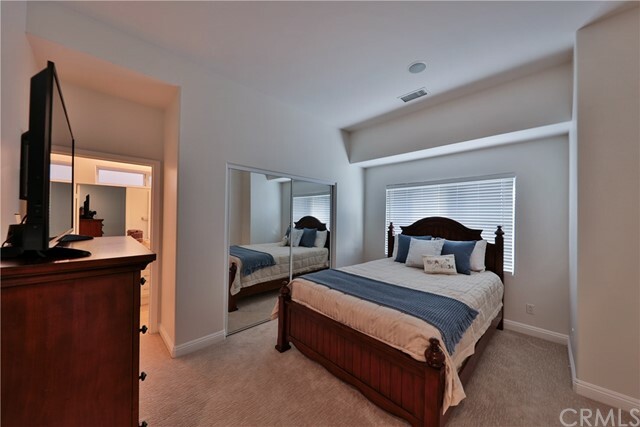 Master Bedroom features Vaulted Ceiling, Large Closet w/ Mirrored Doors, Safe Box, and Ceiling Fan w/ Light & Remote Control. Upgraded Bathrooms speak for themselves. The Hallway has a Brand New Cabinet with Quartz Countertop. Recessed Lighting and Tile Flooring throughout the Home. Recently Painted. Nest Smart Thermostat. Whole House Water Softener & Filtration System. Garage with Overhead Storage Racks, Epoxy Flooring, and Fresh Paint. Private Backyard with Covered Patio Area, Outdoor Lighting, and Glass Fence. Very Low HOA Dues, NO Mello-Roos, and Low Taxes. Nearby Award-Winning Schools, Parks, Aquatic Center, Jack Nicklaus-Designed Golf Course, Shopping, Dining, Movie Theaters, Hiking/Biking Trails, and Freeways! Great start in the Los Altos area of Long Beach. Hardwood flooring, large picture window in the living room, formal dining area overlooks a lush backyard. This is a larger lot over 6,000 sq ft. Close to shopping and parks. You must see this beautiful upgraded home! From the lovely curb appeal to the backyard perfect for entertaining, this home has it all! When you step into the home you will see the giant windows and glass slider leading to the huge backyard. The open floorplan has roomy living and dining areas leading to the spacious kitchen. The entry, bathrooms, kitchen and laundry room flooring is beautiful custom tile. The rest of the home has warm wood laminate flooring. The kitchen features granite counters and stainless steel appliances including refrigerator, microwave hood, dishwasher and 5-burner range. Soft close cabinets and drawers open to reveal tons of storage, including 3 corner-cabinet lazy susans. The guest bathroom has a stall shower, pretty vanity and granite countertop. 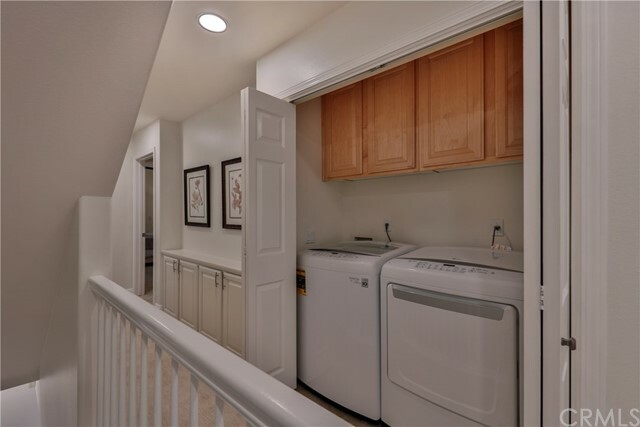 The large laundry room includes a washer and dryer, and has direct access to the 2-car garage. The first bedroom is light and bright with a large window, ceiling fan, mirror doors and custom closet organizer. The master bedroom is spacious with a large closet and custom closet organizer, and a big beautiful en-suite bathroom. 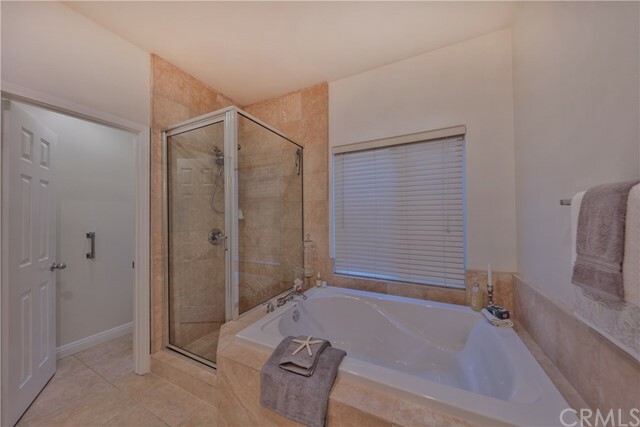 Custom tile and a jacuzzi tub make the master bathroom a peaceful retreat. Most of the home overlooks the fabulous backyard. The stucco covered patio offers an outdoor living space with access to the grassy yard and horseshoe pit. This home includes dual pane windows, central AC/Heat, copper plumbing, a newer roof, 200-amp electrical and a water softener. A Must See! Back on market, buyers could not perform. Welcome to Huntington Landmark, Huntington Beach’s premiere Senior Community. 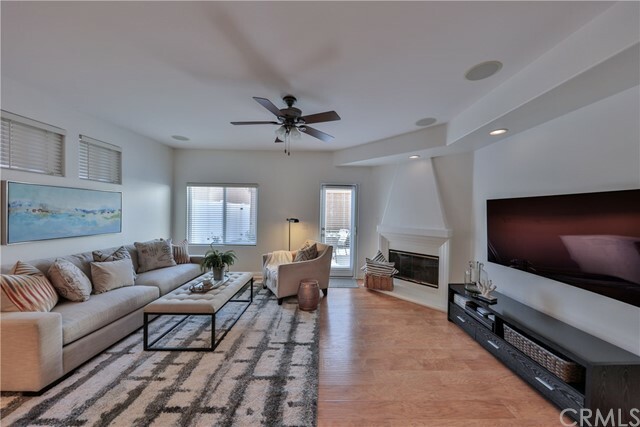 This stunning 2 bed, 2 bath Breakers Model has an open floor plan and interior atrium connecting to the living room, dining area and master bedroom. Enter this meticulous condo through a disappearing sliding screen door, stained glass entry door, and take in the vaulted ceilings, hardwood floors, high baseboard, custom paint, Pella windows (with interior custom shades) and plantation shutters. The tiled atrium patio is big enough for a large outdoor table/chairs with access through the dining area and master bedroom. The kitchen was completely remodeled in 2016 with a Bosch Dishwasher, gas range, new cabinetry with lazy susans, pantry cabinet with pull out drawers, near new fridge, canned lighting and Caesar Stone countertops. 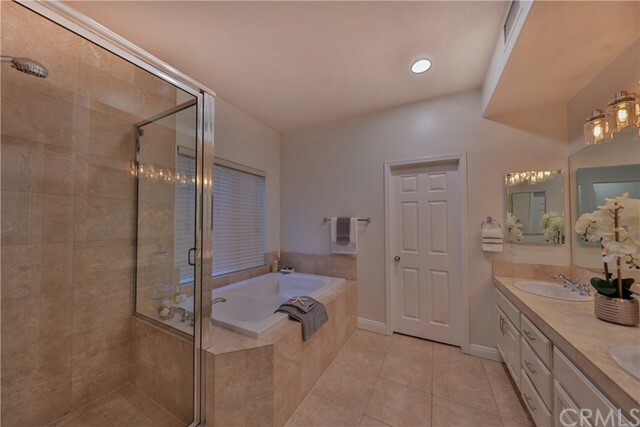 Both baths were brightly remodeled since 2016 with skylights, Toto toilets, new vanities, new cabinets, showers, tile floors, Caesar stone countertops, canned lighting, paneled doors and ADA approved. Both bedrooms have ceiling fans, paneled Pella doors and patio access. The garage was upgraded to a roll up steel door with 3 remotes. The stacking washer and dryer and refrigerator are included. Huntington Landmark has two pools and spas, tennis courts, shuffleboard, horseshoes, a library, billiard room, woodshop, ceramics, gym and much more. The community schedules movie nights, parties and outings monthly. Welcome home. Unique property in La Mesa. 2,212 sq. feet of living space on 21,410 lot with tons of parking space for cars/boat/RV etc. 4 Bedrooms/3 Bath! Large attached garage! Large living room with lots of windows and natural light. Master suite with walk in closet is upstairs. All other bedrooms downstairs. One bedroom with private entrance could be mother in law/guest quarters. New roof, fence, paint, carpet, driveway, patio, landscaping, irrigation, window treatments plus updated kitchen and bath. Interior location in a cute neighborhood. Single story Pacific Sands home. Was a 4 bedroom converted to a 3 bedroom. Kitchen is open to living room and dining room. Slider off dining room leads to rear yard and patio. Direct Garage access off kitchen has laundry. Boat door in garage that opens to rear yard. Outside shower in backyard. Remodeled kitchen with Kraftmaid cabinetry and white carrera marble counter tops, oak hardwood floors in kitchen, dining room, living room, entry and bedrooms. Some newer dual pane windows and slider. Hall bath has been remodeled. Elementary school close by. Start enjoying “beach close” homeownership in this move-in ready Dual Master Bedroom townhome in the quaint community of Cherrywood Village. The open concept Living & Casual Dining space off the kitchen opens up to the brite & sunny patio, which conveniently connects to a large finished 2-car garage with lots of storage space & built-in cabinets. The formal dining room could be a home office depending on your needs. Both bedrooms have en-suite bath… One master suite has a shower tub combo and large walk-in closet, and the other has a shower and balcony! There is a powder room downstairs, and the Laundry room is conveniently located in the upstairs hall for easy access. There is plenty of guest parking in the Cherrywood community and you’ll love it once you see the greenbelts, mature trees, pool, spa and clubhouse. Quiet location, Low HOA's, and just a short drive to the famous soft sands and surf of Huntington Beach make this the ideal beach close home! It is also FHA approved through 2018! Buy now and save thousands. Seller will remodel if home doesn't sell shortly. This home is a single story with over 1700 square feet. Master bedroom addition that is over 400 square feet with vaulted ceilings, fireplace(gas only), bay window with storage, huge walk in closet with huge bathroom that offers double shower, double sink, jetted tub and huge toilet closet with bidet. 2 other bedrooms have bathrooms adjacent to each. Bamboo flooring in entry and living room. Used brick fireplace in living room that burns wood as well as gas. Laundry room off kitchen. Walking distance to 5 points and Trader Joe's. Great freeway access to the 55, 73 and 405. This home is located near South Coast Plaza, The Orange County Perfomring Arts Center, Paularino Park,and Paularino Elementary. Orange County Fairgrounds Home of the Orange County Swapmeet is near by as is Orange Coast Community College or Coastline Community College. This single story home offers 5 Bedrooms and 1.75 baths all on one level living. Freshly painted, newer vinyl windows, and slider, roof, water heater and furnace. Kitchen has room for a breakfast table, family room is off the other side of the kitchen and could be used as a family room or dining room. Good size rear yard. Double door entry with rain glass. Single story with almost 1700 square feet. Newer driveway with concrete and brick. Water heater has been relocated to the garage, next to the laundry hookups and is brand new. Nice oversized garage with large side window and side door! 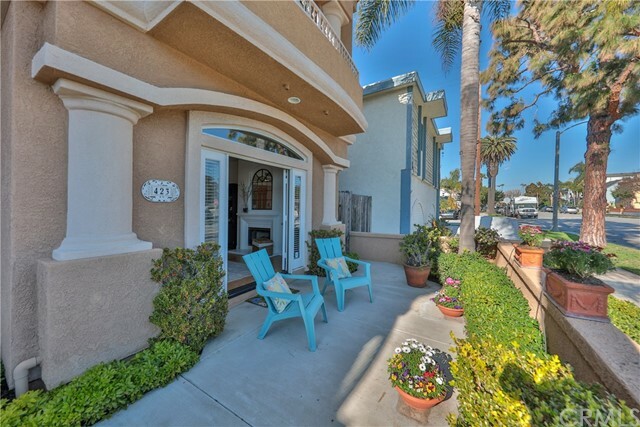 Charming 2 bedroom, 2 bath, 1,250' SQFT, Senior living home is located on the hillside overlooking the city lights, a short walk from the beach, and within minutes from the Shorecliff Golf Course in the San Clemente Community. Perfect location for someone who is 55+ looking for a relaxed beach feel, ocean air breeze and a community with great amenities. This fixer upper is perfect for someone who wants to add some TLC to make it their own canvas. Executive residence in the Brookhurst Homes neighborhood with a welcoming courtyard entry on a quiet cul-de-sac. Energy efficient windows add to the value of this 1 story family home. 4 bedrooms with the master bedroom and bath on one side of the home and 3 bedrooms with a bath on the other side of the home. The lush back yard with covered patio is perfect for entertaining or relaxing. The living space is perfectly set up for the functional use of both the inside and the outside of this home. The focal point of the living room is a wood burning & gas fireplace, the formal dining room is separate and the kitchen family room have full access to the back yard in addition to access from the living room. The kitchen boosts a built in range top and oven, dishwasher and triple sink. This home is centrally located to shopping, schools, parks, entertainment and transportation. Come join the "Surf City Lifestyle" in this amazing Oceanview Condominium! The security gated "Pier House" building is Oceanfront on Pacific Coast Highway in Downtown Huntington Beach and features a Resort Style Swimming Pool/Spa & BBQ area which makes every day feel like "vacation". The area offers numerous activities & attractions: Go Surfing in the morning, then take a stroll to the Pier, Main Street Village, or Pacific City for shopping & lunch, take a bike ride along the oceanview blufftop path south to Newport Beach or north to "Sea Legs", perhaps lounge at the pool for a bit or use fitness center in the clubhouse, then enjoy a glass of wine while watching a magical sunset from your own balcony/patio. Of course, there are also many events to enjoy: 4th of July Parade & Fireworks, Huntington Beach Air Show, US Open of Surfing, Car Shows, & more... This wonderful One bedroom, One bath Bottom Floor unit has been Beautifully Remodeled in today’s popular colors: Kitchen & Bathroom (Carrerra marble), New double pane windows and patio slider, Hardwood flooring, Recessed lighting, New closet doors & organizer, Recessed Lighting, Updated baseboards, New paint, and Ceiling fans… & more! Secured underground parking (including parking for overnight guests). Perfect 2nd Home or comfortable "year around" residence for those that love coastal living. Very Accessible: Elevator from the parking garage upto the unit! Water, gas, trash and basic cable included in the HOA fees. 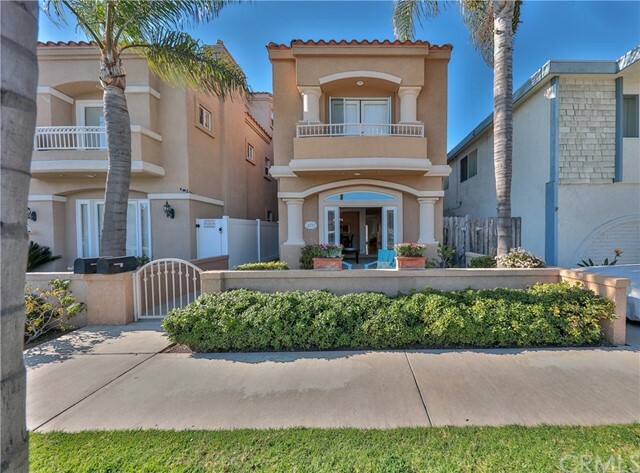 Enjoy all that Huntington Beach has to offer in the gated community of Ponte Surfside. Beautifully remodeled 2 bedroom / 2 ½ bath, first floor end unit next to soothing water pond. Open floor shows off the remodeled living room with gas fireplace, crown moulding, recessed lighting and plantation shutters leading to balcony. Master bedroom and 2nd bedroom both have private bathroom that have been remodeled with granite countertops and tub/shower areas. Plantation shutters in Master bedroom also allow easy access to outside patio area. 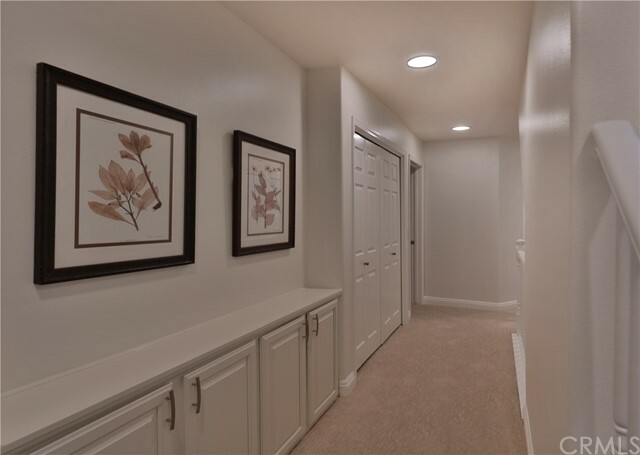 Additional remodeled half bath in the hallway allows your guests easy access. Inside laundry area with full size hookups for washer & dryer. Storage closet in the hallway and one outside on the patio as well. Underground covered parking is assigned, with lots of additional parking throughout the complex. Resort Style living with lots of amenities including pool, spa, tennis courts, BBQ area, and community room. Enjoy scenic walks in the nearby Bolsa Chica Wetlands, nearby beaches, Huntington Harbor Mall & Shops, Sea Cliff County Club & Golf Course and so much more! Don’t wait, this unit will go quickly. This is an awesome opportunity to purchase a home in Surf City Huntington Beach. Please refer to private remarks for details on how to submit an offer. The offers will be presented on Monday January 11, 2010. 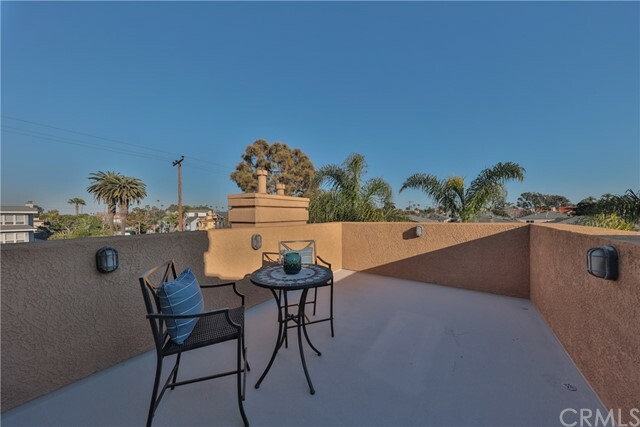 Updated 2 bedroom, 2 bath unit in desirable Sea Spray community of Huntington Beach. No one above with vaulted ceilings for spacious, airy feeling. Updated kitchen with granite tile counter tops, beautiful cabinets and newer appliances including Bosch dishwasher. Easy care bamboo flooring and tile throughout. Ceiling fans in master. Spacious walk in closet in master. Cozy gas fireplace in living room. Inside laundry space for full size washer and dryer. 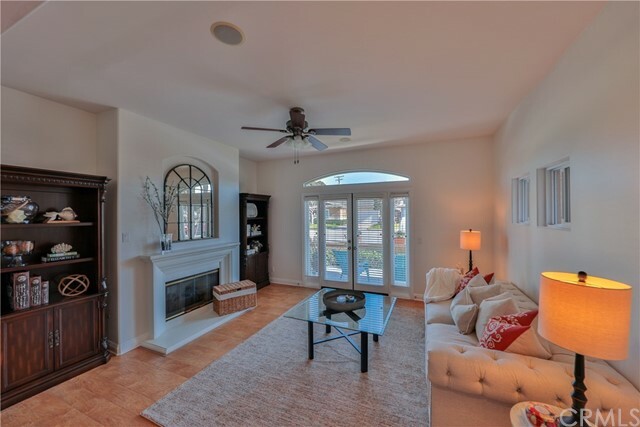 Home has living room balcony that overlooks Santa Ana River Trail for private yet open feeling. Close to beach, Pacific City, Bike paths, shopping (Trader Joes across the street). Lighted tennis courts, community pool & spa, clubhouse. Brand New Beautiful 3 bdr. 2.5 bath home under construction ready in July 2011. Start the morning right with coffee at the spacious kitchen island, the windows let the natural light stream in and get you charged for the day ahead. The dining room and kitchen open up to your private yard. Home is the place you want to take care of you and your family, and this plan helps you create the perfect place with every comfort and convenience from the little details of a built-in ironing center to the spa like master suite. Special Designer selected finishes include: Warm Shaker style Brandy wood stained cabinets, additional pre-wired outlet for lighting in family room, exquisite New Sunset Gold granite for your kitchen counters and island, with neutral color solid tops in all the bath counters. Flooring materials will be selected by you. Good size yard for your familie's entertainment. steps to a beautiful Park and salt water association pool. Come join the Coastal Lifestyle right here in Huntington Beach. Just around the corner from the Beach, Hyatt, Hilton, Pier, & Downtown Huntington Beach. Tourist travel here from around the world to bask in our climate. Live here for under $500,000! Hear the waves at night, feel the cool coastal breezes and clean air! This home sits middle of the tract and off the main road. Kitchen overlooks the greenbelt. Bamboo flooring throughout the downstairs and new carpet upstairs. Freshly painted! This home has a wood burning fireplace, French door with side lights opens to patio. Needs some TLC. Single Family Attached Home, which shares only 1 common fence on patio. Surfside offers 2 pools, 2 clubhouses, tot lot, basketball court, playground, bbq area all situated on 32 acres with lot's of palm trees! You don't find wide open green space like this anymore! Short Walk, Bike, Ride, or Drive to the beach, Hyatt, Hilton, Pier, and Downtown. LOCATION! LOCATION! LOCATION! Drive, Ride a Bike or Walk to the Seashore, Hyatt, Downtown or the Pier! Come join the Coastal Lifestyle that Surfside offers in Huntington Beach. One of the best kept secrets of Huntington Beach! Someone else maintains the outside, roof and gardening which frees up your time to play at our local beaches and enjoy Local night on Tuesday evenings! Travertine style tile is throughout downstairs, raised panel doors through out home as well. The water heater has been relocated outside and coverted to gas(Most are electric). Dryer has also been coverted to gas! 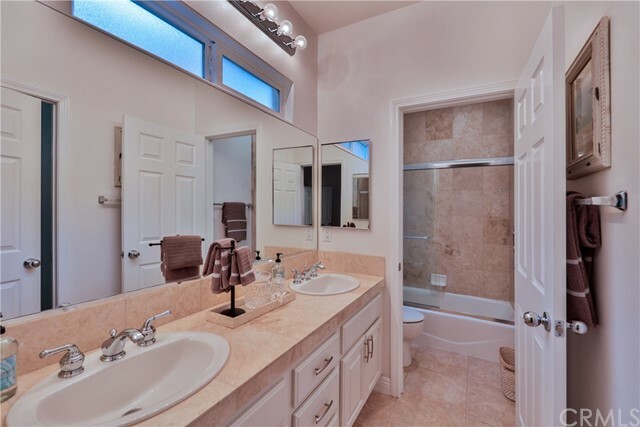 Remodeled bathrooms throughout the home. This model has a full size master located across the back of the house! South facing patio with deck and patio cover. Newer dual pane windows throughout home. Patio deck in rear south facing patio. Home Sold AS IS! Don't miss out on this opportunity to own in upscale Seabridge Lakes. Interior located 2 bedroom 2 bath with a one car garage. Bedrooms face an approximate 3 acre park fondly referred to as "dog park." Upstairs unit with no one overhead. Vaulted ceilings give a feeling of spaciousness. Balcony off of kitchen and living room. Cozy fireplace in Living Room. Large kitchen with nook area for family dining. Living area very flexible. Can be large living room, or can be living and dining combo. Can even be living and office area. Inside laundry with washer and dryer included. Bedrooms are good sized. Maser bath has dual vanities and is plenty large enough for 2 people. Priced for a quick sale so don't miss out. Location! Location! Location! Come join the coastal lifestyle of Huntington Beach. Surfside is situated just East of Beach and South of Atlanta. Short drive, bike ride, jog or walk to the beach and Beach Blvd and Pacific Coast Hwy. This 4 bedroom 2.5 bath home with a wood/gas burning fireplace in the living room for those cool evenings is the largest floor plan that Surfside offers. Surfside offers 2 pools, 2 clubhouses, playground, tot lot, BBQ area, Basketball court and lot' of wide open greenspace! This home needs some updating, bring your imagination, paint brush and time to watch HGTV for ideas! Situtated midway in the tract. South facing front door! Watermarke is one of the most prestigious, gated, resort style communities in Irvine. Rarely on market Carlton Arms plan, top floor and end unit! 1 bedroom, 1 bath with view of pool from balcony. Kitchen features granite counters and stainless steel appliances. Washer, Dryer and Refrigerator are included for your convenience! On-site concierge service, 8,000 square foot clubhouse, three pools, four spas, cabanas, state of the art fitness center, children's play park, tennis and basketball courts...the list of amenities goes on and on! Watermarke Place is on the border of Irvine and Newport Beach and adjacent to wildlife sanctuary, excellent running and biking trails that will take you all the way to the beach. Conveniently located near John Wayne Airport, restaurants, business centers, UCI and the 405, 73 and 55 Freeways. In summary, Watermarke has all the amenities one would want and it close to everything you need to enjoy the active Orange County Lifestyle. Tucked away in a highly sought after community is this gorgeous ground floor condo with a welcoming open floor plan and an abundance of natural light. 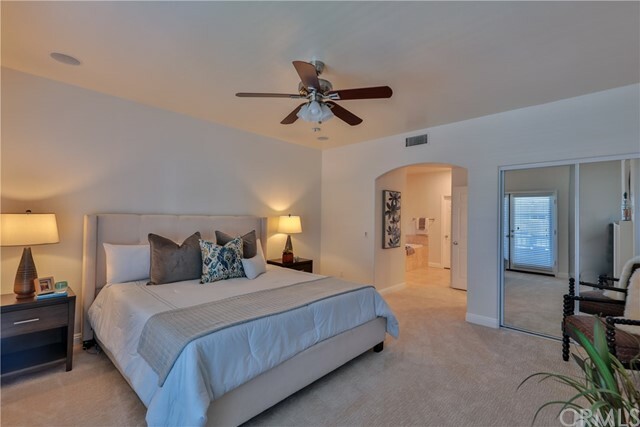 Surrounded by windows and featuring oak hardwood floors throughout, this one bedroom, one bath home is in a premiere location within this gated, beachside community. Overlooking a soothing water fountain and lushly landscaped courtyard, the home boasts an updated kitchen in pleasing gray and white tones with new tile, recessed lighting, stainless steel appliances and a breakfast bar. Sliding glass doors lead to a spacious patio, a perfect spot to entertain or kick back with a good book. 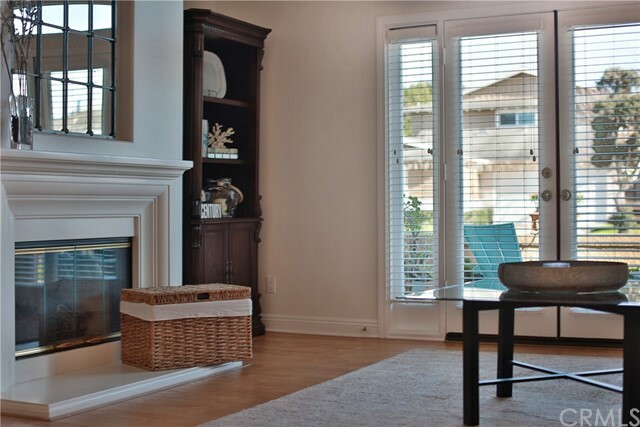 Plantation shutters enhance the home’s warm and inviting feel and a gas fireplace creates a cozy centerpiece. Inside laundry with washer and dryer included is an extra bonus along with a garage and additional reserved parking space. Plus, enjoy closet organizers and new doors, new electrical outlets, new interior door hardware, newer water heater and a stylish ceiling fan. Known for its natural beauty and friendliness, this community offers a recently renovated pool and clubhouse that serve as the focal point of the neighborhood. Relax by the pool, BBQ with friends and family and join in on the fun games and activities the community has to offer. Plus, enjoy close proximity to the beach, Bolsa Chica Wetlands, restaurants, Trader Joe’s and Huntington Harbour Mall. This is truly beachside living in a resort-like neighborhood! Don’t miss out! Welcome to South Coast Metro. GREAT INVESTMENT OPPORTUNITY! This three bedroom, two bath home is situated in Bradford Place. Enjoy a short walk to Lilly King Park or take in one of two common pools on those sunny days. This condo features two stories with all bedrooms and one full bath upstairs. The downstairs has a half bath, dining area, kitchen and living room. The backyard is covered with beautiful bricks and enclosed with wood fencing. The patio leads you into your two car garage with alley access. The windows have been replaced with dual pane vinyl and the ceilings have been scraped for a nice fresh look. The kitchen cabinets have a newer, contemporary feel and the counter tops are smooth laminate. 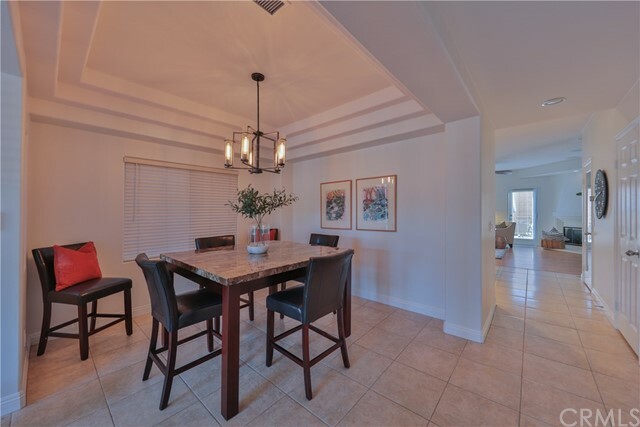 The dining area and living areas have clean, sleek laminate wood flooring. A ceiling fan hovers over the good sized dining area big enough for a small family. This Metro location is close to employment centers, John Wayne Airport, freeways, South Coast Plaza and world class dining. Within the complex, this home is a very short walk to the common area pools and is extremely quiet. Beaches are 9 miles to the south and Disneyland is 12 miles north. You cannot beat this price for the location and amenities. Any buyer must inherit the current tenants lease which expires in December 2019. Investors, this property has a 4.56 cap rate and has long term tenants until December 2019. The tenants pay $2250 per month. With 30% down, you will have a positive cash flow. Welcome to South Coast Metro. GREAT INVESTMENT OPPORTUNITY! This three bedroom, two bath home is situated in Bradford Place. Enjoy a short walk to Lilly King Park or take in one of two common pools on those sunny days. This condo features two stories with all bedrooms and one full bath upstairs. The downstairs has a half bath, dining area, kitchen and living room. The backyard is covered with beautiful bricks and enclosed with wood fencing. The patio leads you into your two car garage with alley access. The windows have been replaced with dual pane vinyl and the ceilings have been scraped for a nice fresh look. The kitchen cabinets have a newer, contemporary feel and the counter tops are smooth laminate. The dining area and living areas have clean, sleek laminate wood flooring. A ceiling fan hovers over the good sized dining area big enough for a small family. This Metro location is close to employment centers, John Wayne Airport, freeways, South Coast Plaza and world class dining. Within the complex, this home is a very short walk to the common area pools and is extremely quiet. Beaches are 9 miles to the south and Disneyland is 12 miles north. You cannot beat this price for the location and amenities. Any buyer must inherit the current tenants lease which expires in December 2019. Investors, this property has a 4.44 cap rate and has long term tenants until December 2019. The tenants pay $2250 per month. With 30% down, you will have a positive cash flow. Approved Short Sale. This home is a short walk, bike ride or car ride to the beach, The Hyatt, Pier,& Downtown Huntington Beach. This is the largest floorplan that has been converted to a 3 bedroom 2.5 baths. The master located at the rear of the home is now across the entire back of the upstairs with a huge walk in closet with a window. All bathrooms have been remodeled. This homes boasts newer interior doors through out,newer windows, crown molding accents the living room with 2 sets of french doors that open to patio with stucco wall in place of wooden fence(for added privacy), remodeled kitchen with stainless steel appliances, counter tops are Caesarstone with a Limestone finish, & butcher block top center island, lazy susan & pull outs Huge double door pantry. Washer & dryer has been relocated to the garage. 2 pools, 2 community clubhouses, basketball court, tot lot, playground. Sought after Surfside in Huntington Beach. 3 bedroom, 1.5 bath home. Has woodburning fireplace for those cool evenings. Kitchen has been opened up to entry hall. Recessed lighting and crown moulding downstairs. 1/2 bath downstairs has been remodeled with granite and new cabinet. Upstairs has 3 bedrooms and full bath. Furnace is a little over 2 years old. Garage has been drywalled throughout most of it and has extra storage. Surfside offers 2 pools, 2 clubhouses, basketball court, playground, tot lot and BBQ area! Walk to the beach, downtown or the Pier. Big Lot's shopping center is due to be redone starting April 2010. Approved Short Sale. Home is sold as is! 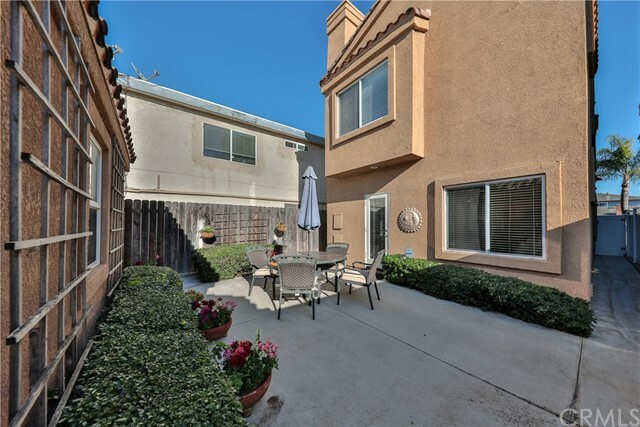 ROSSMOOR TOWNHOUSE, TWO STORY END UNIT, HARD TO FIND 4 BEDROOMS, 2 BATHS WITH NEW CARPETING AND PAINT. SUNFILED LIVING ROOM WITH DINING AREA AND SLIDING DOOR LEADING OUT TO A PRIVATE PATIO AND ENTRANCE TO TWO CAR ENCLOSED GARAGE WITH ROLL-UP DOOR. LIGHT AND AIRY KITCHEN WITH BUILT-IN EATING COUNTER. PLUS ELECTRIC STOVE, MICROWAVE, DISHWASHER AND REFRIGERATOR. POOL AND CLUB HOUSE ARE CLOSE BY. EASY WALKING DISTANCE TO SHOPPING AREA. ALL THIS AND THE AWARD WINNING LOS ALAMITOS SCHOOL DISTRICT. PRICE REDUCTION!!! Come peep this beautiful one story home today to see what this home has to offer. This property offers great open floor plan with ceramic tile flooring, and wood flooring. Enter the kitchen to see the pristine updated granite countertops an newer stainless steel appliances. 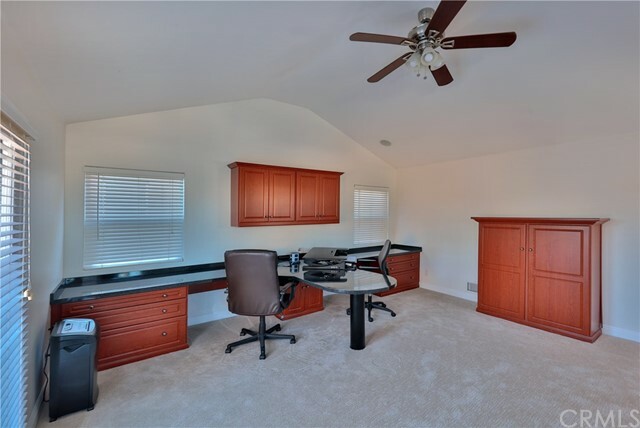 This homes boasts a very large bonus room that is open to create it into anything you desire. Granite countertops and upgraded ceramic tile in all the bathrooms. Most important this home offers Rv parking with a brand new steel plated rolling gate. Surround sound is built in through out the entire backyard. Last but not least their is upgraded solar panels to save on energy bills. This home is perfectly located central corona close to schools, shopping centers, parks, and major freeways. This is a beautifully remodeled 4 bdrm home in desirable Orange. Home has new interior/exterior paint, new carpet throughout and all new windows. Kitchen is brand new with all new cabinetry, new granite counter tops and all new stainless steel appliances. New landscaping in front/back. This home looks perfect and is move-in ready. Location! Location! Location! This home is located in Surfside Homes by the Sea. Ride a bike, short drive or walk to beach, Hyatt, Pier and Maint Street Downtown. Come join the coastal lifestyle Huntington Beach has to offer. 1st Single Story on the market in over a year. End unit faces North. Charming 1 bedroom 1 bath with inside stackable laundry space. Used brick fireplace in living room. Updated bathroom. New water heater, furnace, dishwasher & stove. New carpet and flooring throughout. 2 Car Garage! Community is in process of stucco/wood repair project. !!!!!!! !WOW WOW LOOK AT THE HUGE PRICE REDUCTION WOW WOW 40K OFF!!!!!!! !LOOK AT THE PRICE ON THIS. NO FHA> COMPLEX NOT APPROVED SORRY BOM BOM cancelling parties loss is your buyers gain hurry this condo has its attached two car garage.Not a short sale. Feel the breeze Wow this gorgeous unit has its own attached 2 car garage. Property has a fresh coat of paint and new carpet aswell. Come show your fuzzy buyers, this is a great property featuring its private patio. OH YES ! THIS ONE IS THE ONE !!! #1 LOCATION INSIDE SEABRIDGE - NOT NEAR THE STREETS - #1 VIEWS OF LARGE LAGOON PLUS WATERFALLS - YOUR PATIO LEADS RIGHT OUT TO THE LAGOON - AN ATMOSPHERE LIKE NO OTHER - PEACEFUL, TRANQUIL, BEAUTIFUL, ROMANTIC - ENJOY A CRACKLING FIRE FROM YOUR FIREPLACE IN THE LIVINGROOM WHILE ENJOYING YOUR VIEWS - KITCHEN AND DININGROOM OFFER HARD WOOD FLOORS - VERY SPACIOUS KITCHEN HAS LARGE WINDOW THAT LOOKS OUT TO LIVINGROOM AND VIEWS - LARGE BEDROOM HAS 2 CLOSETS WITH MIRRORED WARDROBE DOORS - ALL THIS PLUS A GARAGE AND YOUR OWN DRIVEWAY ! LOCATION! LOCATION! LOCATION! Do you dream of getting up in the morning and walking your dog to the beach, or maybe hopping on your bike with your Surfboard before you head off to the work in the morning? Here it is single story remodeled 1 bedroom, 1 bath, with attached 2 car garage! This home is southfacing yet receives light from the south and the east. New Kitchen with new counters, cabinets, black/stainless steel appliances microwave,stove, dishwasher, and refrigerator (all warranties will convey)! Remodeled bathroom with pedestal sink and new shower doors. Freshly painted, new carpet, new blinds, New front and rear door and furnace! This home is ready for your finishing touches! Fenced side yard. Surfside sits on 32 acres ocean close. Community offers 2 pools, 2 clubhouses, basketball court, BBQ area, tot lot, playground and hilly walking area with lots of shade trees. Great ocean breezes! What are you waiting for? Bring your paint brush and imagination! This home has been lived in! Fireplace with custom oak cabinet built in to the right of the fireplace. Needs updating. Smoker for over 35 years in the home. 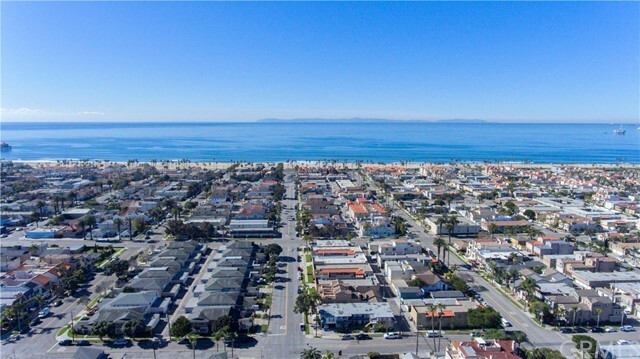 Surfside Homes by the Sea is Huntington Beach's best kept secret. This complex is nestled between Atlanta and the Wetlands south and east of the Hyatt off PCH and Beach. This home needs updating, but has been maintained. Bedroom and Patio receive early morning Eastern sun and the unit sets facing south at the end of the greenbelt. Only attached on one side. 2 car garage!! Surfside offers 2 pools, 2 clubhouses, BBQ area, basketball court, Playground and Tot Lot! Lot's of wide open greenspace. Looking for a single story look no more. This is not a short sale or bank owned. Fix up and save property is in original condtion. This home has great freeway access to the 55. Vanguard University is located near by as is the Orange County Fairgrounds. South Coast Plaza and Orange Coast College are nearby. Home is sold AS IS! Vacant land in Lancaster, County of Los Angeles ( NO 1229, 74-9-5 SE 1/4 OF SW 1/4 OF SW 1/4 OF NE 1/4 OF LOT 14) Over 2 acres near development area. Check out this amazing home located in Huntington Harbor, with partial main Channel views. Your expectations will be exceeded in this 4 bedroom, 3 bathroom home with vaulted ceiling in the master bedroom and a glorious master bath so elegant you would think you were in a spa. No detail has been spared with the construction of this custom craftsman build. The amazing centerpiece of this home is the master chef’s kitchen with granite counter tops highlighted with exquisite wood cabinetry that is made of the finest quality materials. There is a separate bar area to serve your guests for those times to have big parties or for those quiet times to relax. The large step-down family room and large entertainment room in between the pool and kitchen are spaciously designed perfectly for you and your guests to move freely around the house without feeling closed in. All the best stainless steel appliances are yours to use including an over-sized refrigerator-freezer, dishwasher, microwave oven, and 6 burner gas stove. Washer and Dryer not included. And can’t forget the butler’s pantry large enough to stock enough supplies and food for those glorious parties you're sure to host during times of great celebration. The enclosed garage can easily accommodate 3 large sedans and there is plenty of room to park your SUV’s and other toys on the semi-circle brick paved driveway. The sparkling pool and spa are big enough for you to host and entertain with even comes with an outdoor BBQ. Gorgeous 3 story home with a great location! Just 4 blocks to the park, 5 blocks to the beach and a short stroll to Main St., close to schools, and the City Gym/Pool. This is a custom home loaded with extras you do not normally see in a Downtown Huntington Beach home including: Air Conditioning, tumbled travertine floors, custom light fixtures, cherry wood cabinetry throughout, granite kitchen counters, viking appliance, sub zero refrigerator, 2 refrigerated undercounter drawers, wine cooler, marble counters in all baths, and more. The first floor has a living room, dining room, kithen, nook, laundry room, pantry and powder room. The second floor includes master suite, a family room with fireplace, powder room, 2 bedrooms which share a full bath. The third floor bonus room could be a 4th bedroom... it has a bath, sundeck, and city lights/sunset view. Luxurious Top Floor Penthouse with Vaulted Ceilings in beautiful Portofino Cove Condos in Huntington Harbour. Largest Model with very rare Main Channel Boat Slip for 46+ Foot Boat! Recently remodeled and move-in ready! Views From Balcony, Subterranean Parking, Development is gated with resort quality pool/spa. Check out this perfect 3 bedrooms 3 bathrooms home in the tree-lined BEACH WALK community of Huntington Beach. This home is a short walk and short bike ride to Dog Beach near Goldenwest and PCH. 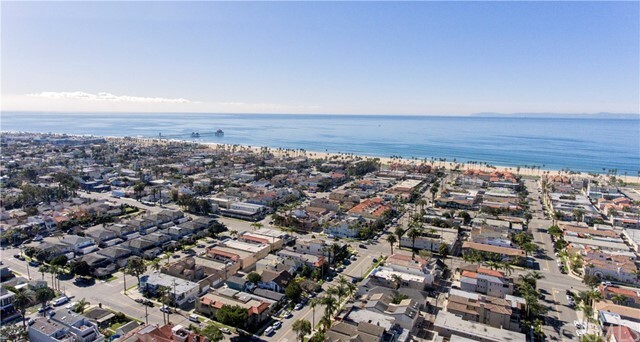 BEACH WALK is very close to World Class beaches, World Famous Huntington Beach Pier, walkable to grocery stores, retail shops, restaurants, and some of the best schools in Orange County. In a minute's drive you can be at the Huntington Beach Equestrian Center, Sports Park the Huntington Beach Central Library. One of the best highlights for this perfect home is the 5 community swimming pools and the Olympic size pool is heated year-round, two saunas in the clubhouse, there is a pool table and a volleyball court, treescapes throughout and it comes with an updated kitchen. There is ample space to entertain in your enclosed backyard and 2 paved patios, 2 car detached garage and there is an enormous fireplace in the living room. Check out this upscale home located in the prestigious Huntington Harbor, complete with boat slip. Located in a secluded quiet neighborhood your expectations will be exceeded in this 2 bedroom, 3 bathroom townhome with enclosed patio and separate enclosed 2 car garage. The large living room with cozy wood burning fireplace is spacious enough for you and your guests to relax or entertain. The kitchen is newly upgraded and the newly remodeled bathrooms are amazing. There is a refrigerator-freezer, dishwasher, and large stackable washer and dryer. A short walk from your home there is a gated 25-foot boat slip to use. The sparkling community pool is spacious enough for you to host and entertain and there is an outdoor BBQ area with clubhouse. The community is close to outdoor activities, such as boating and fishing, the Bolsa Chica Reserve, world-famous beaches and surf spots. There is great shopping, and restaurants, first-class schools, it's centrally located between San Diego and Los Angeles and there are many year-round public recreational events near the Huntington Beach Pier. Surfbreaking views! Pier Views! Ocean View! New flooring! New Samsung appliances! New Paint! Desirable Sandpiper model in PCH adjacent Pier Colony. One bedroom ( loft-style) , one bath, with inside stackable washer and dryer. Conveniently located within the complex : close to the elevator and assigned parking space in guard gated subterranean parking structure . Community pool and clubhouse. Adjacent to the Pierside Pavilion shopping complex and a couple of blocks to Pacific City shopping with Equinox Gym, restaurants, hotel, and boutiques. Please inquire for more photos as the unit is currently undergoing upgrades! Come join the coastal lifestyle that Surfside offers being so close to the Beach! The Pier, Seashore, Hyatt and Main St are a short drive, bicycle ride or walk. This homes has a large master situated across the rear of the home with it's own bath. The 2 front bedrooms share a hall bath. Bathrooms have been remodeled, and all ceilings are scraped. Laundry is situated off the kitchen dining area. Surfside offers 2 pools, 2 clubhouses, basketball court, BBQ area, tot lot and playground. 3 Bedroom 2 Bath Condo, Kitchen With Stove, Dishwasher, Microwave, Granite Counter Tops, Separate Dining With Ceiling Fan, Tile Flooring Throughout Kitchen And Living Room, Vaulted Ceilings, Fireplace, New Carpet, Vertical Blinds, Walk In-Closet, Mirror Closet Doors, 2 Balconies With Storage Closet, Individual Laundry Room, Single Enclosed Garage With Opener, Water Streams Throughout Complex, Gated Community, Community Pool, Spa, Volleyball, Basketball Courts, Near Wieder Park, School And Huntington Harbor Shopping Center, Bike Ride to The Beach And Huntington Harbor. Location! Location! Location! Beach and Atlanta. Situated in the rear of the complex on a horseshoe shaped greenbelt. Feel those ocean breezes! Listen to the waves at night(seasonal). New dual pane windows installed. Master bedroom and bath is situated at the rear of the home. 2 front bedrooms share a hall bath. Kitchen is situated in rear of home with brand new appliances. Freshly painted. Clean and ready to move in. South facing with lot's of light. 2 Car Garage is 400 square feet! Must See! Surfside offers 2 pools, 2 clubhouses, Basketball court, Tot Lot, Playground, and BBQ area and lot's of green space. 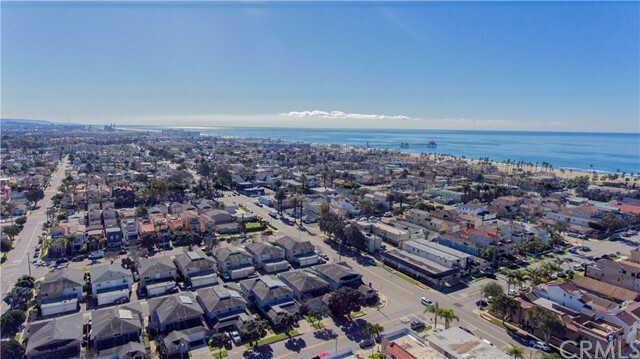 Within a short walk, bike or drive to The Hyatt, the beach, Pier,and Main St. Come join the Coastal Lifestyle that Huntington Beach and Surfside Homes By the Sea Offers! Come join the coastal lifestyle that Surfside Homes By The Sea offers! This home is situated just a short walk, bike ride, car ride to the beach, Hyatt, pier, or downtown. This community offers 2 pools, 2 clubhouses, basketball court, tot lot, playground and lot's of wide open green space. Surfside is situated on 32 acres with lot's of trees. Ocean breezes abound. 3 bedroom, 2.5 baths. Crown molding accents the living with a neutral beige paint. Master bathroom is beautifully upgraded. This home faces south and is located midway in the tract. Kitchen shows light and bright. Home freshly painted and new carpet installed upstairs. Inviting patio directly off kitchen and dining area. Inside Laundry downstairs and 1/2 bath down! 3 Bedroom, 2.5 bath deluxe model with Master Bedroom and master bath situated at the rear of the home is available. 2 front bedrooms share a bathroom upstairs and 1/2 bath is located downstairs off the kitchen/living room area. Surfside offers 2 pools, 2 clubhouses, tot lot, playground and basketball court. Walk or ride bikes to the beach, pier or downtown. Laundry is located inside the unit off the kitchen. South facing unit that is situated on a greenbelt off the main street. Come enjoy the cool ocean breezes that Surfside offers being situated so close to the beach. Welcome to this perfectly located condominium in sought after Monterey Hills. 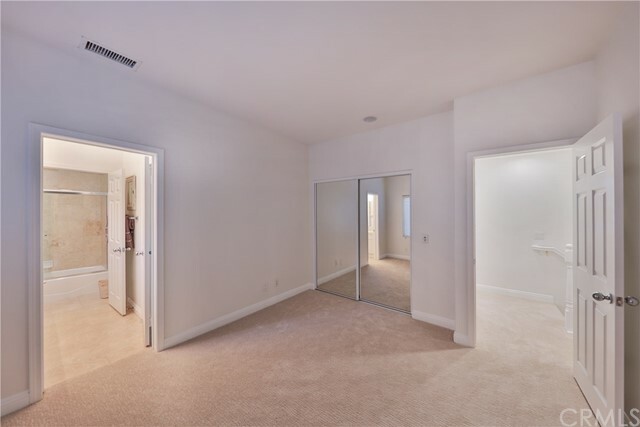 This top floor spacious unit offers a master suite with an oversize walk-in closet, dining area, and large living room that opens to a peaceful and quiet gateway balcony. Shower/Tub has been resurfaced and new hardware. All appliances included refrigerator, stove, dishwasher, washer/dryer. Laundry in unit! 1 car parking included in gated garage. First-class amenities include secluded community resort-style pool, spa, gym and recreation room. All these and you'll be just minutes away from Old Town Pasadena, downtown LA, Paso Colorado and USC Health Services. All utility's paid except Electricity. Single story 2 bedroom 1 bath in Surfside. Maple Wooden floors with some carpet in bedrooms, stackable washer and dryer convey. This unit is located all the way in the rear of the complex on the the last street with the playground. Built in shelves are in each bedroom closet. Kitchen opens to living/dining room area. Breakfast bar as well. This home offers a very nice patio with grass. Tenant will be responsible for mowing greass and landlord will provide tools. This unit is located in the last row so there is only wetlands in front of you. Ocean and downtown close! Single story end unit with 2 bedrooms, 1 bath. 2 car garage, laundry in garage. Fireplace in living room. Enclosed sun room off rear bedroom. Surfside offers great coastal breezes, 2 pools, 2 clubhoues, playground, tot lot, basketball court all within your complex. Beach and downtown are near by. Come join the coastal lifestyle. This top floor unit has vaulted ceilings in Living Room & dining room. Sunny south facing balcony off Living Room & Master. Laundry in room off kitchen. Kitchen features window over the sink that will allow for beautiful sunset skys to the west. Dining area adjacent to kitchen with window. Living room offers gas fireplace. This unit is ideal for 2 room mates. Each bedroom has a bathroom. Storage room is on the left at the top of the stairs. Storage room has a 4 shelfs, electrical outlets, overhead light and window. 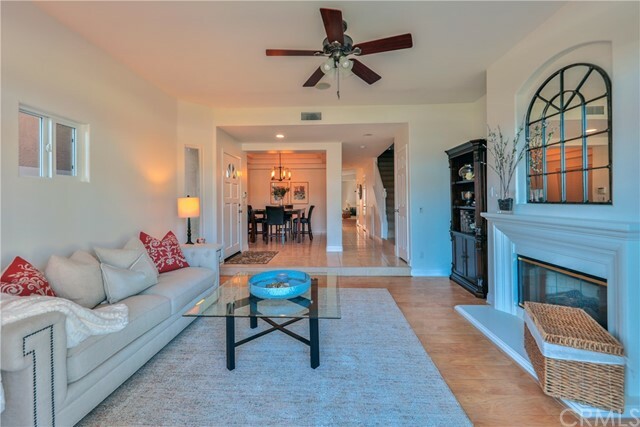 This home is right down the street from Central Park and Huntington Beach Library. Close to 5 points and freeway access is up Beach Blvd or East on Talbert. Unit shows light and bright. Washer and Dryer included in unit. No Pets. No Smokers! No Exceptions!